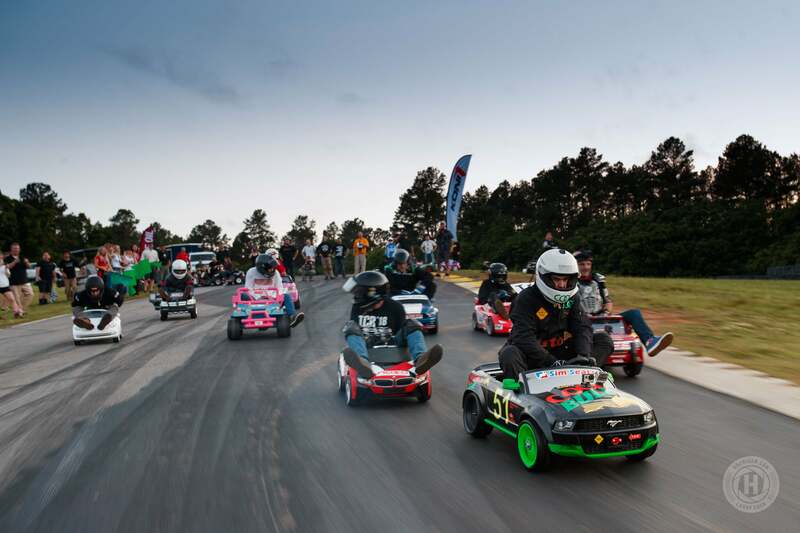 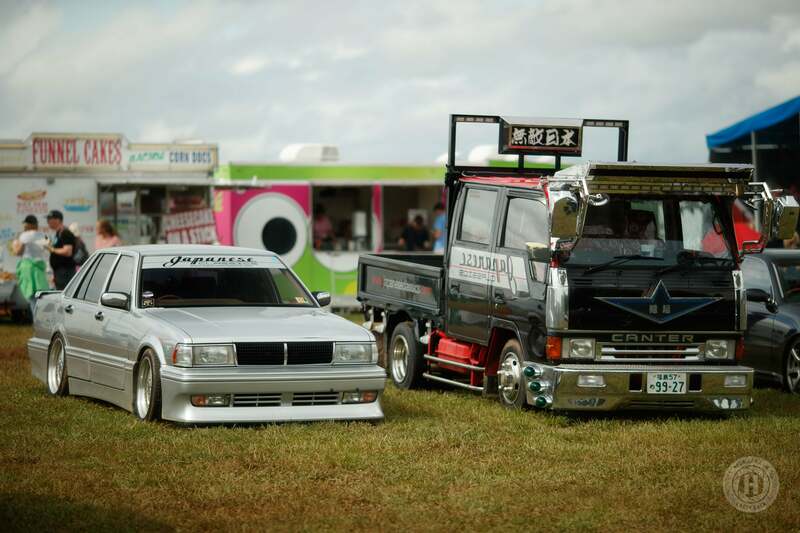 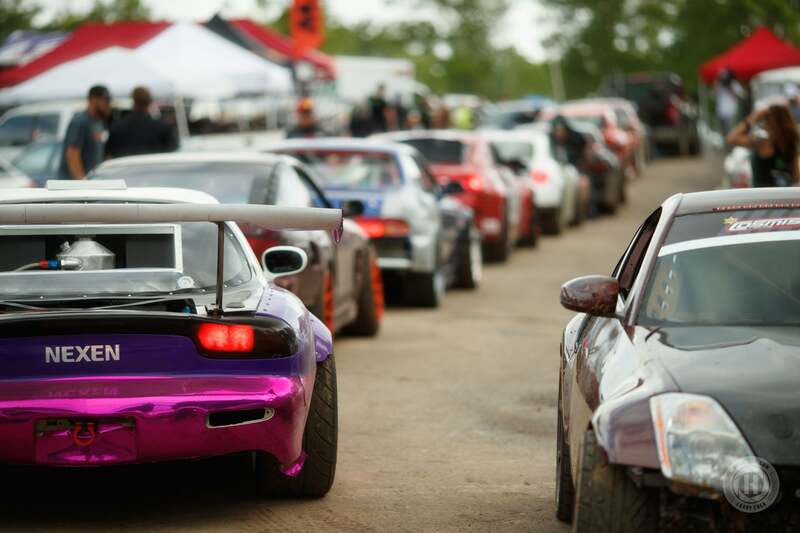 The ultimate playground for petrol heads, HyperFest,has been around since 2001 and this year’s event was the biggest yet. 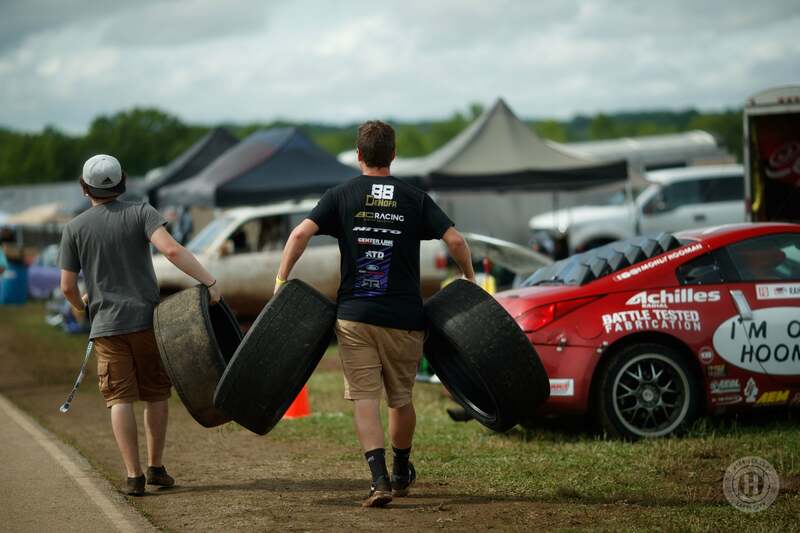 With so much going on, it was almost too much to take in even over an entire weekend. 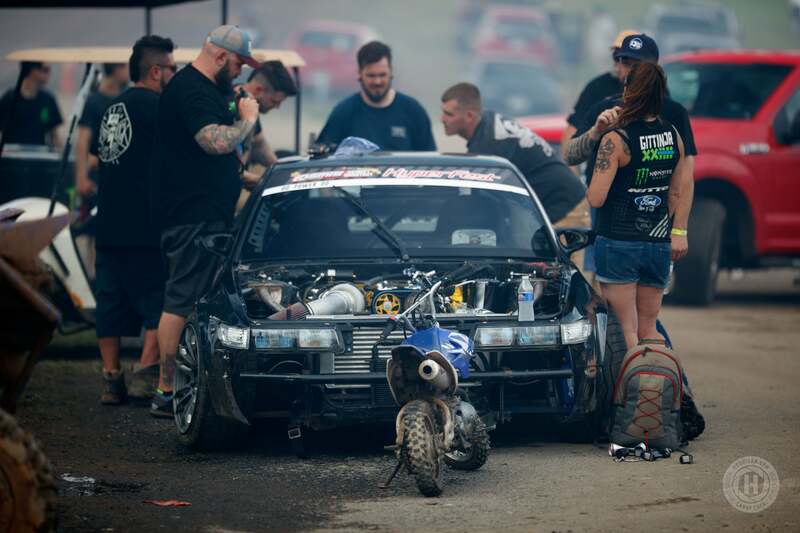 What sets HyperFest apart from other racing or car show events is that this is a NASA regional round that includes so much more automotive related stuff in addition to the actual racing. 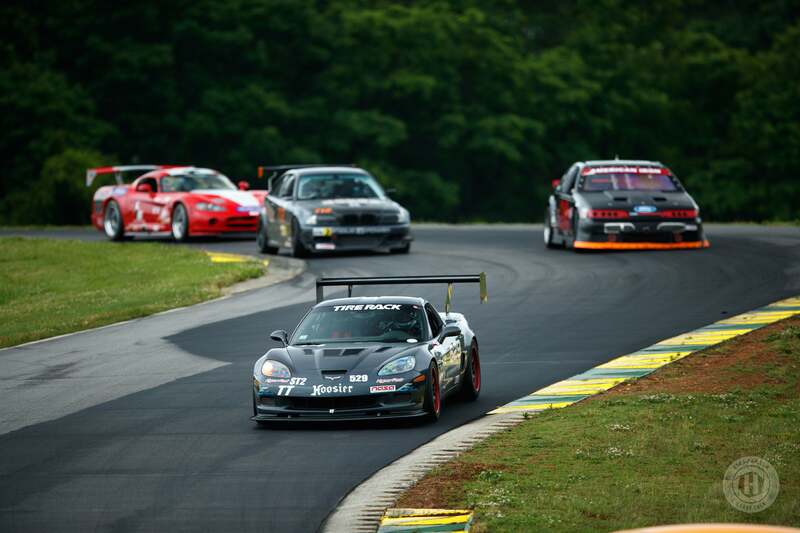 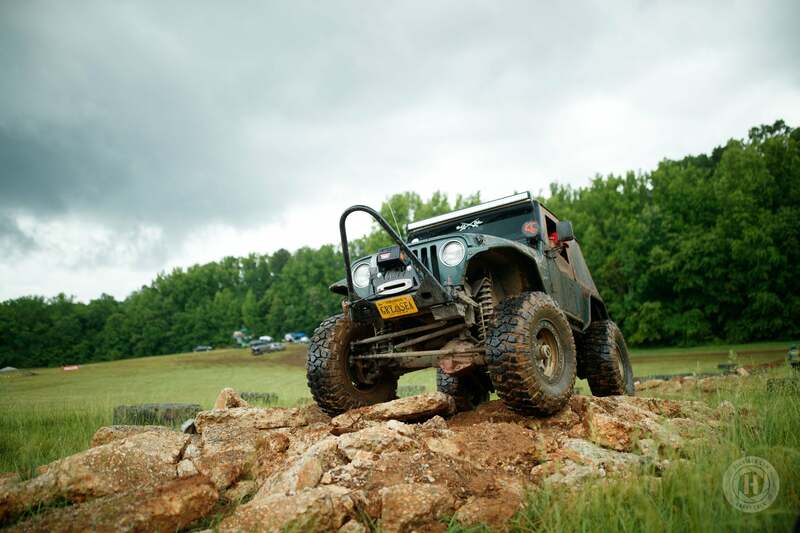 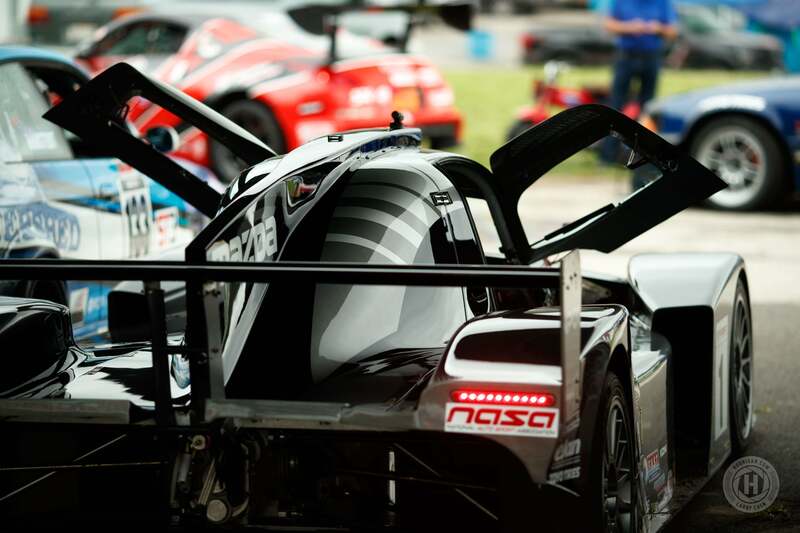 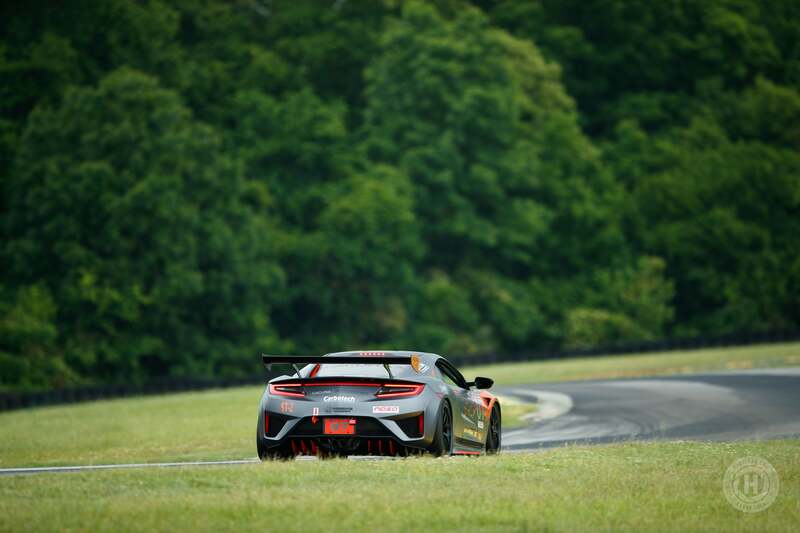 It takes place at Virginia International Raceway, a beautiful track on the border of North Carolina and Virginia. 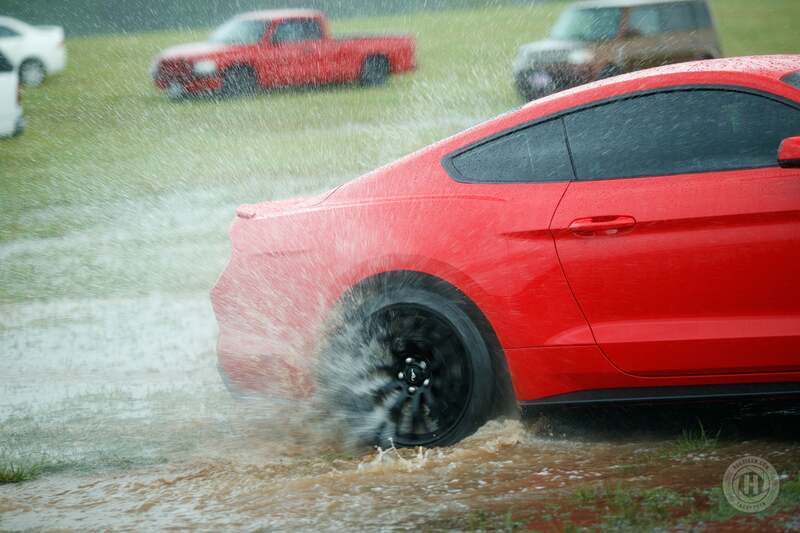 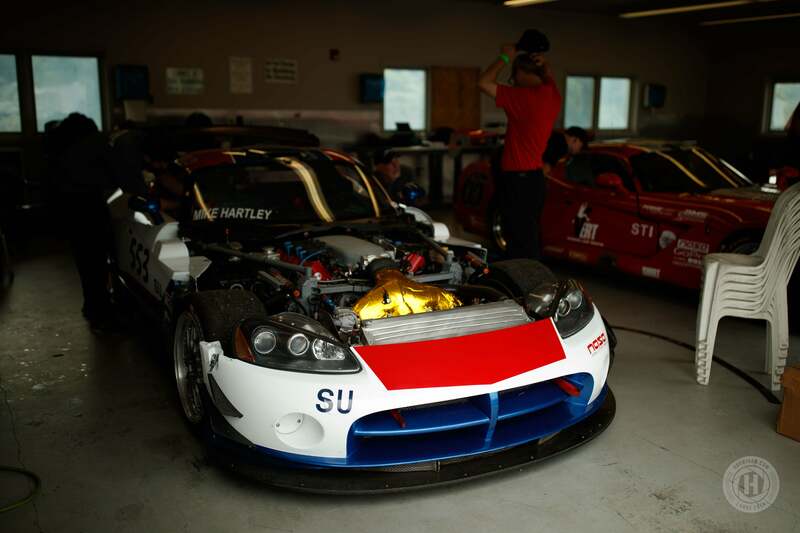 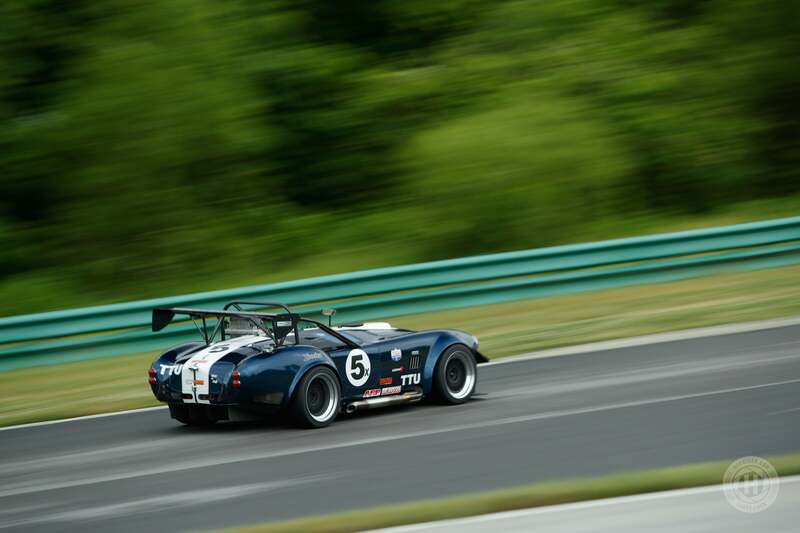 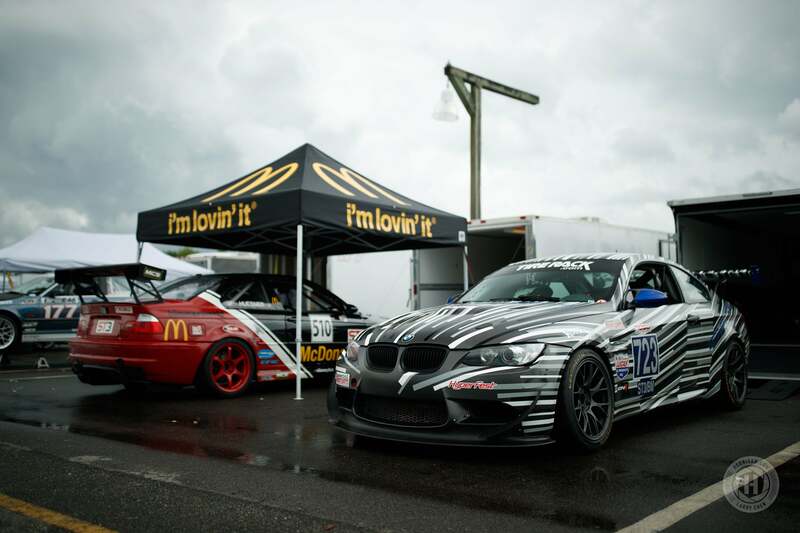 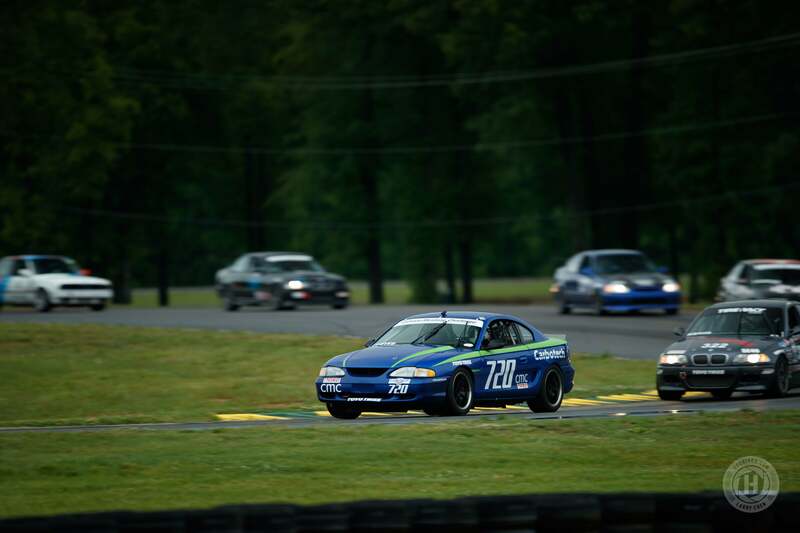 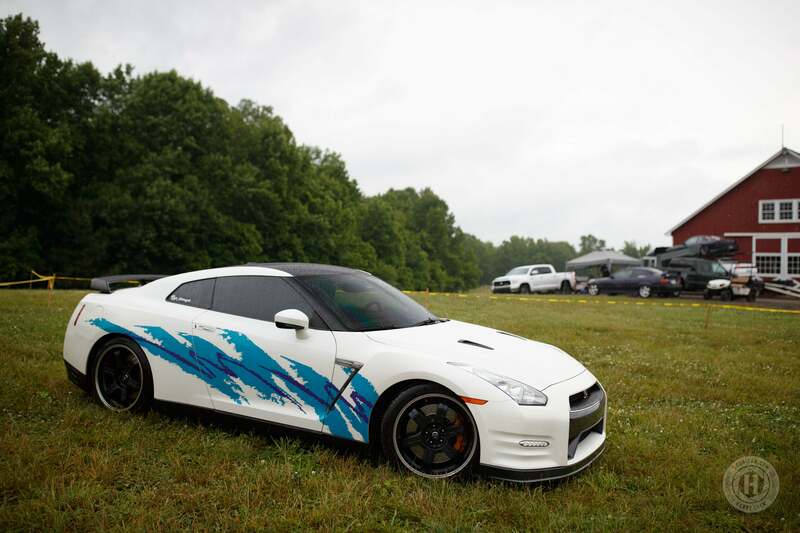 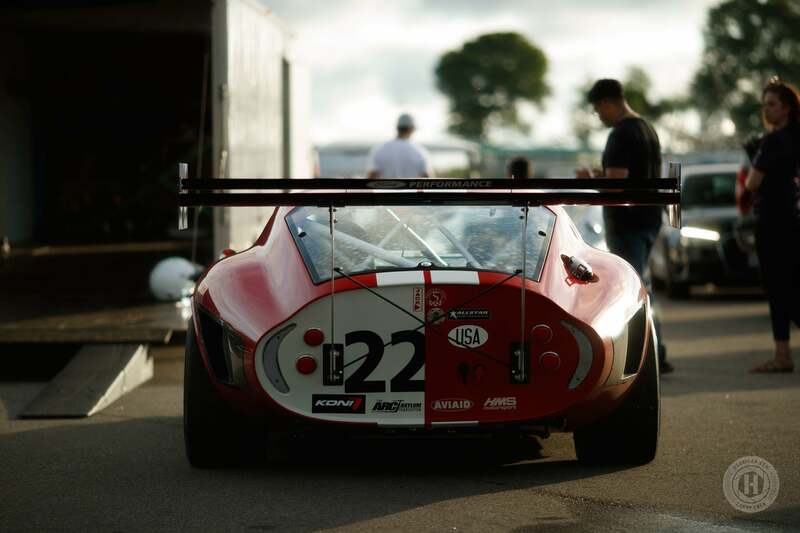 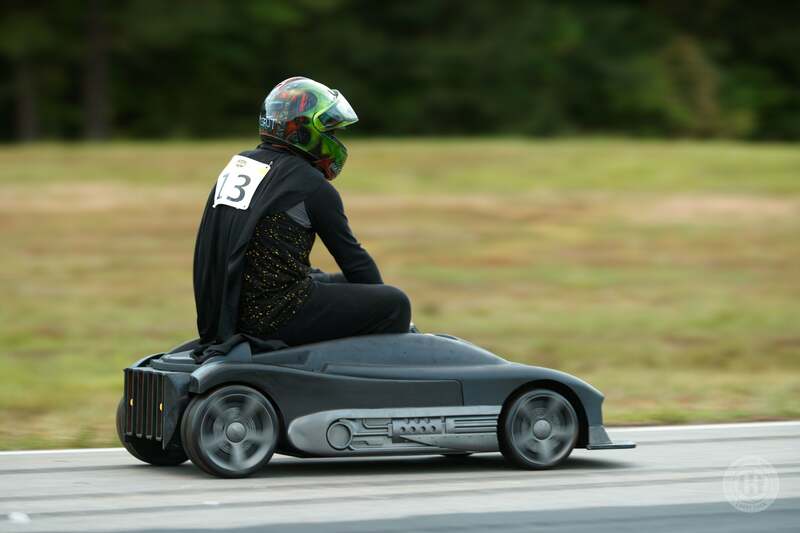 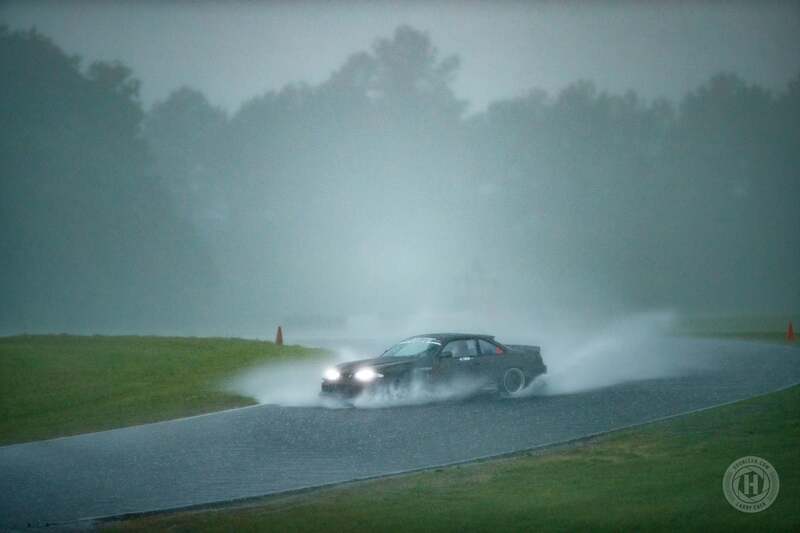 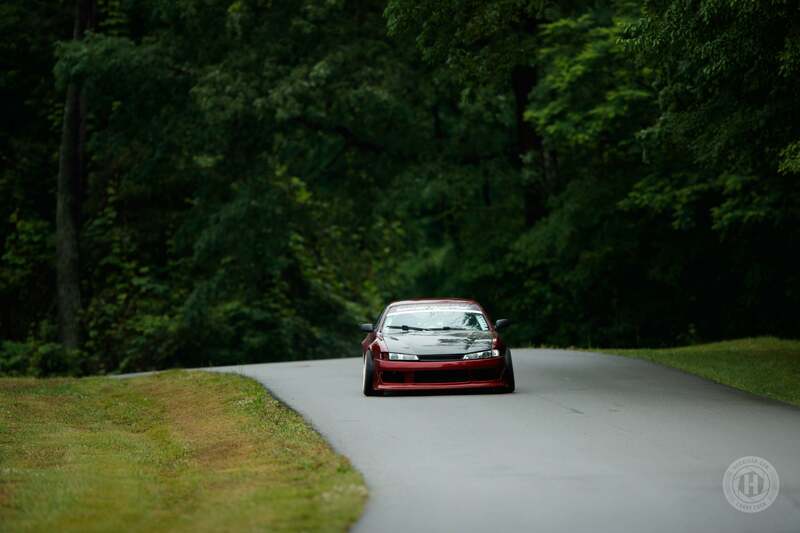 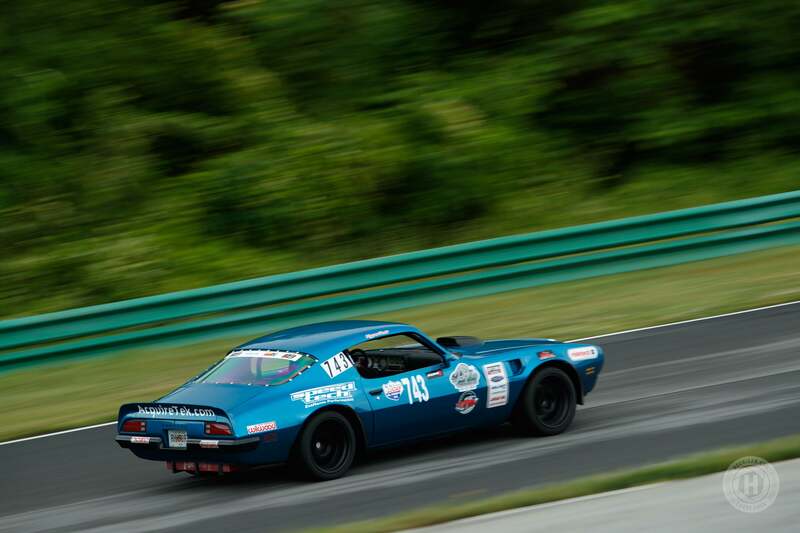 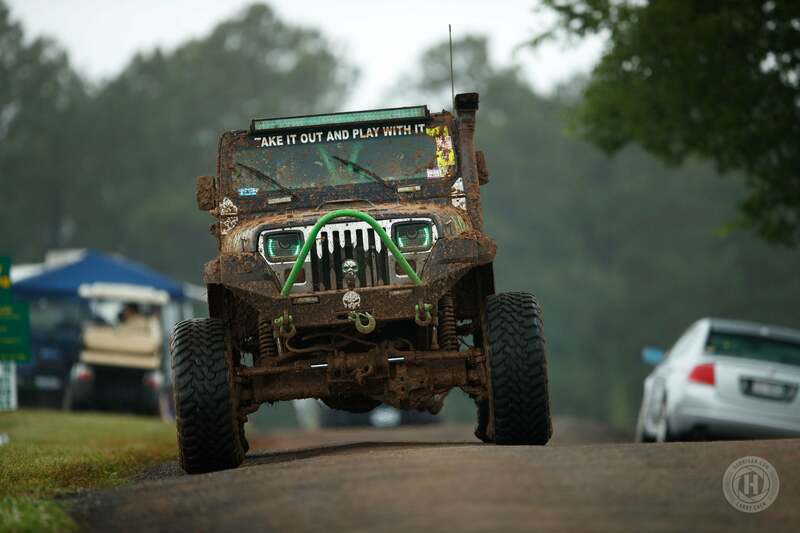 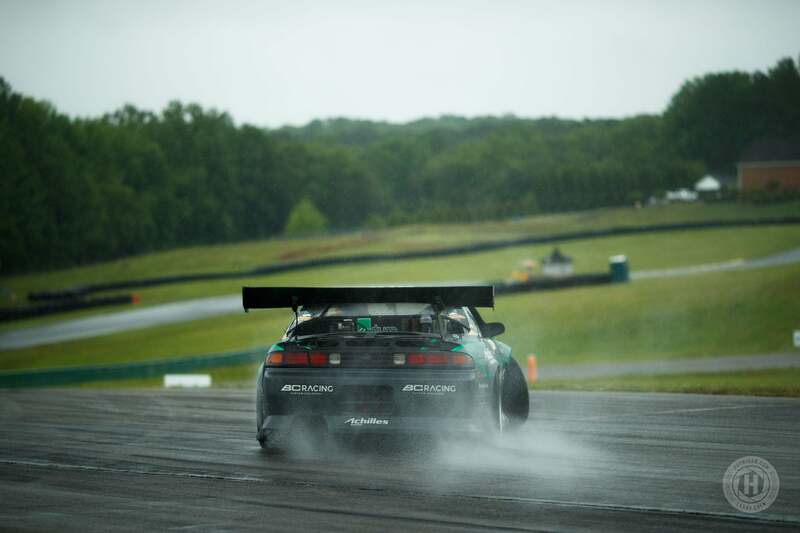 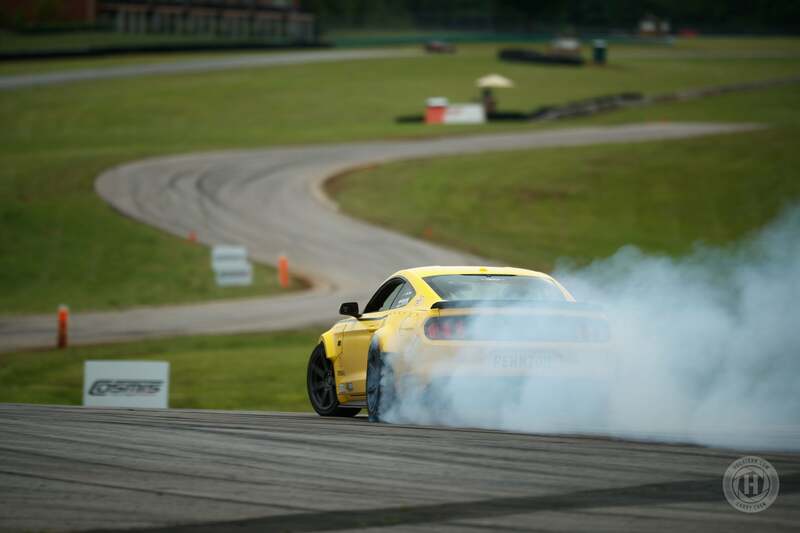 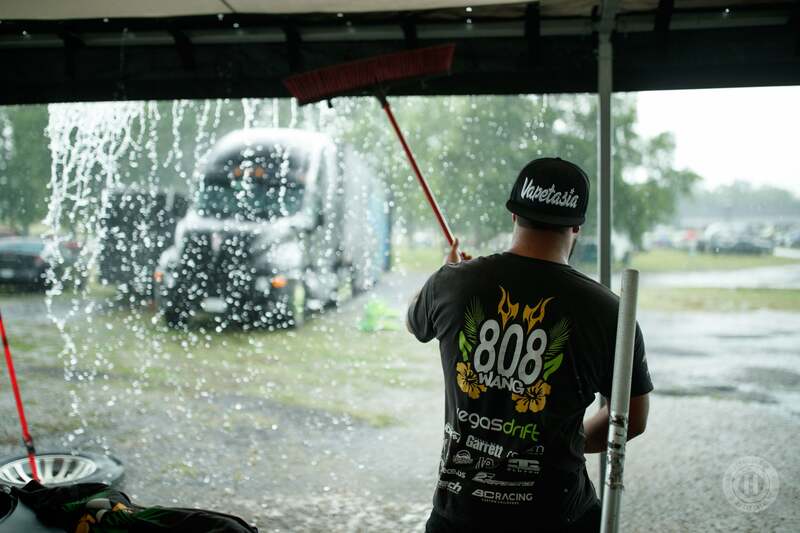 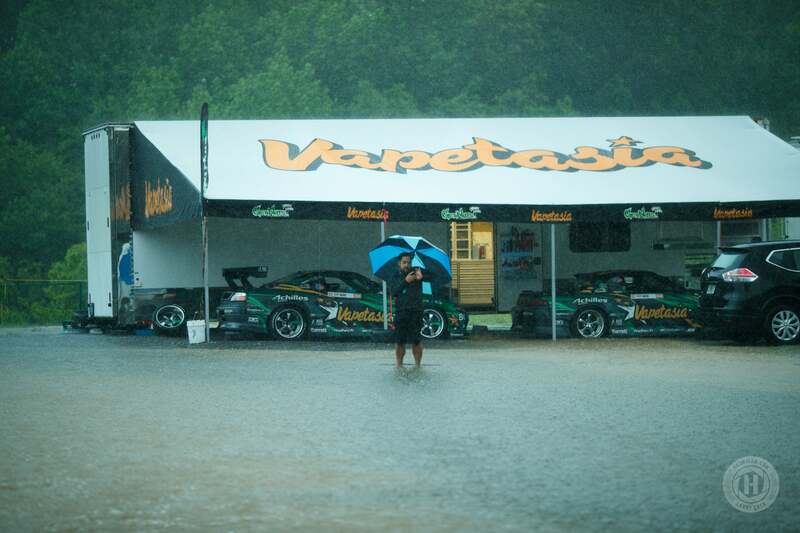 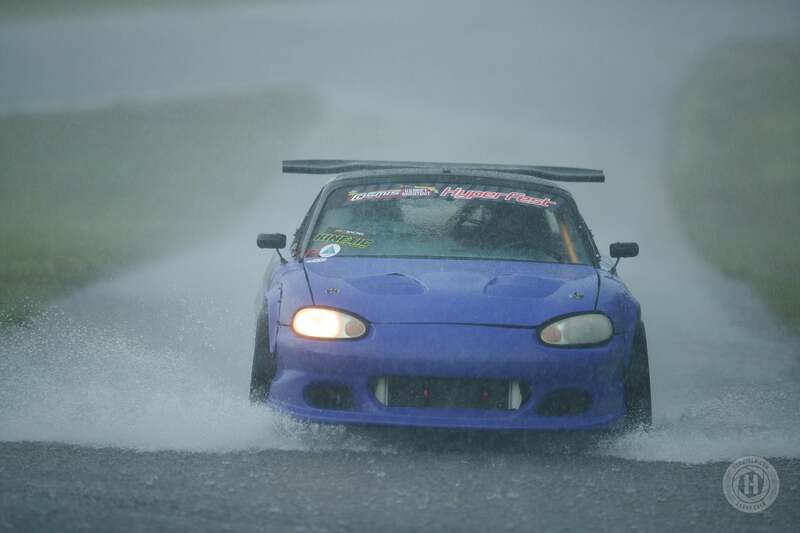 Although this year was marked with a lot of rain hitting the entire East Coast, it could not dampen the spirits of the throngs of petrol heads at VIR. 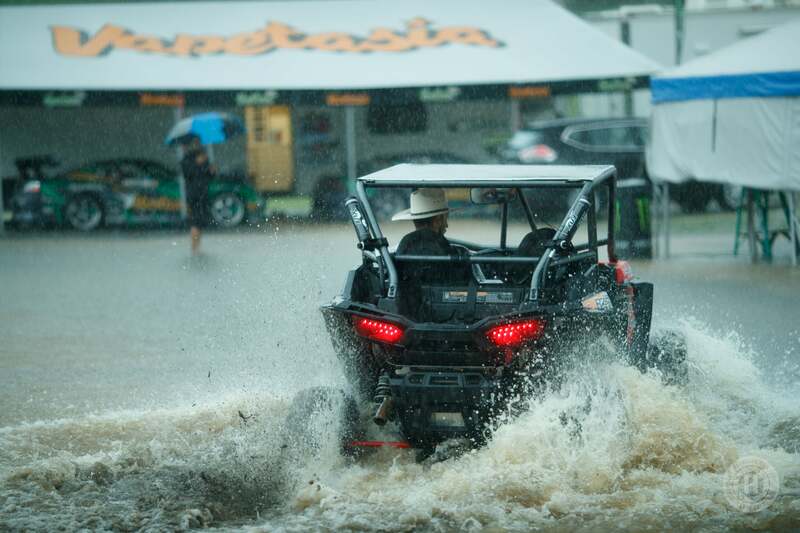 So much rain came down on the first day that most of the racing was stopped because many parts of the main track were flooded. 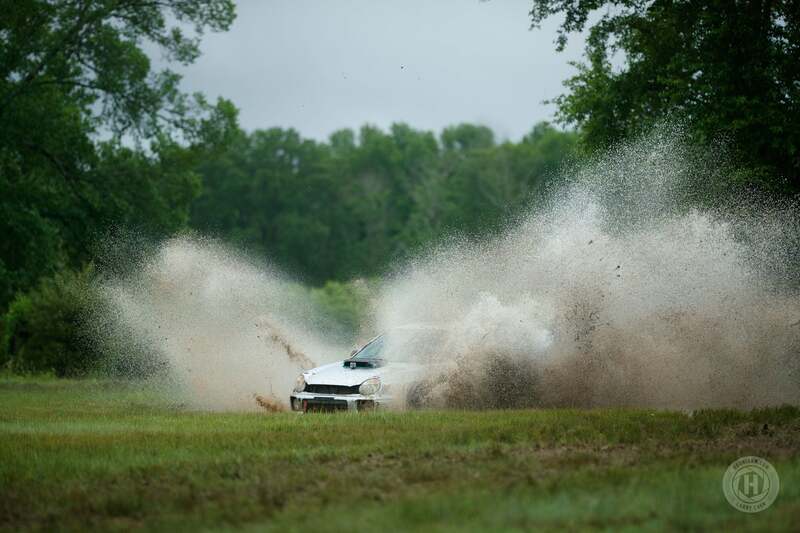 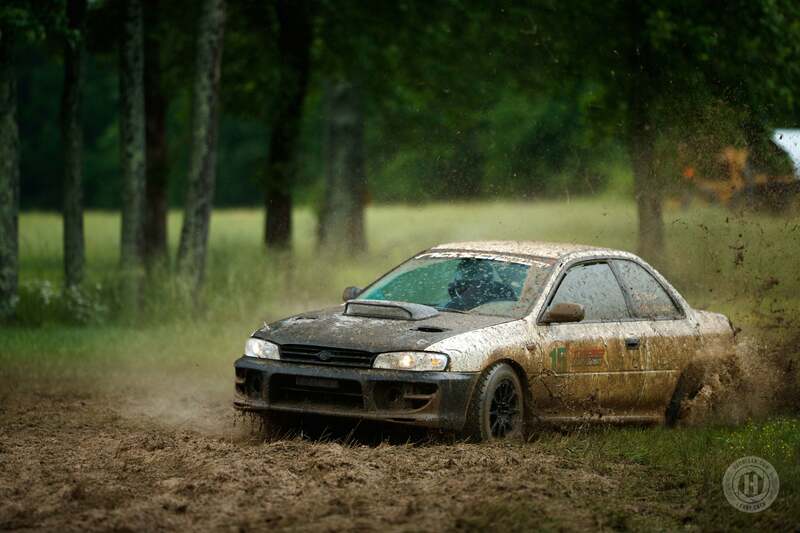 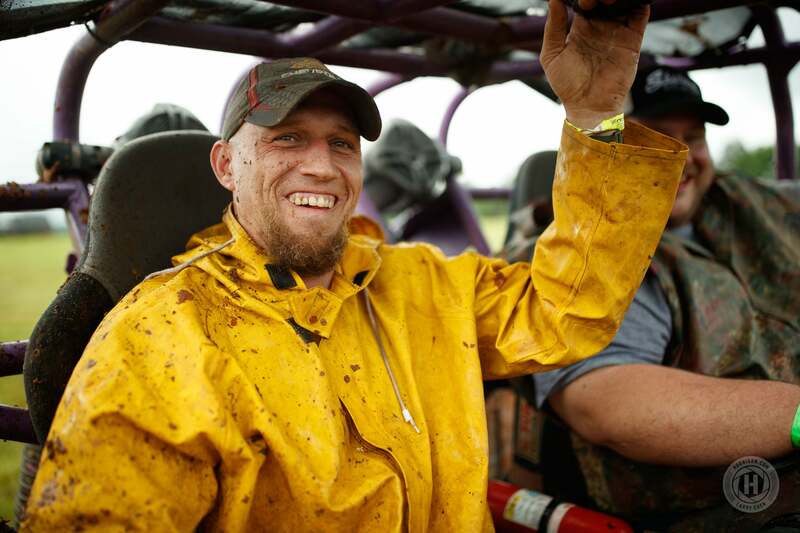 Drifting kept going until they couldn’t go anymore because of too much water but the off-roading events kept at it. 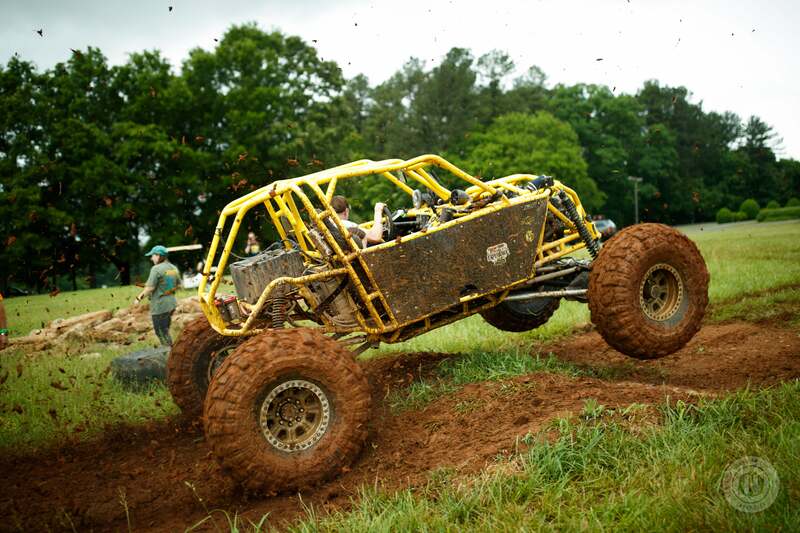 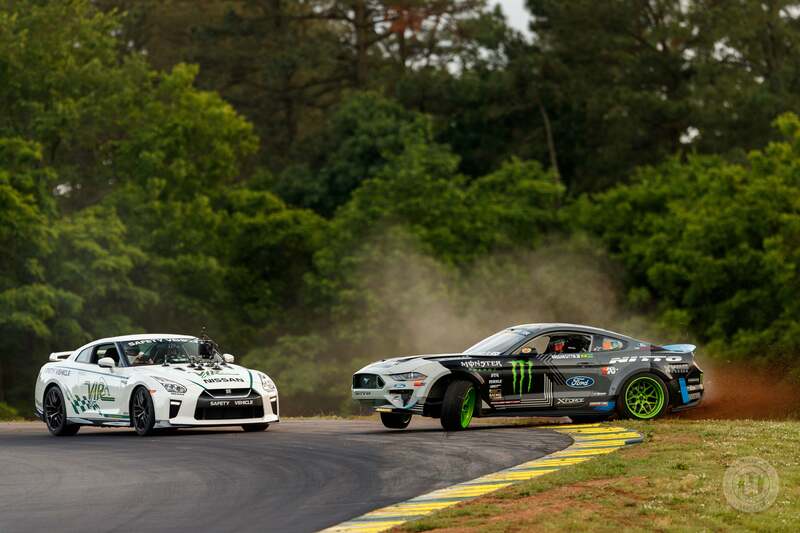 Yes, even at a road course, there were both on- and off-road events happening within the track’s grounds. 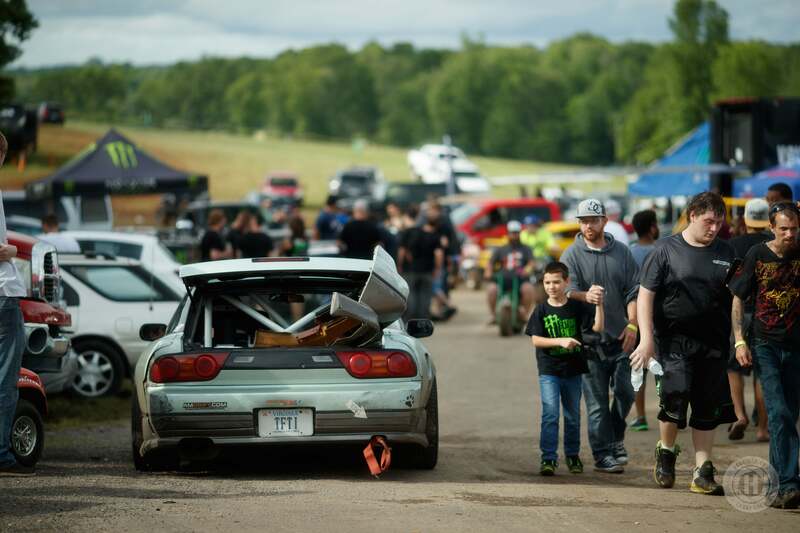 That’s the amazing thing about HyperFest, there is so much going on. 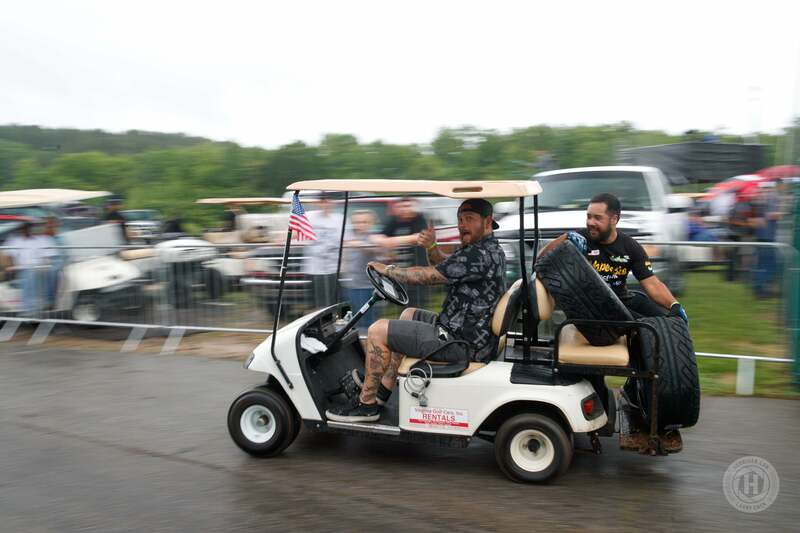 Even though I was on a golf cart and driving around the entire weekend, it was almost too much. 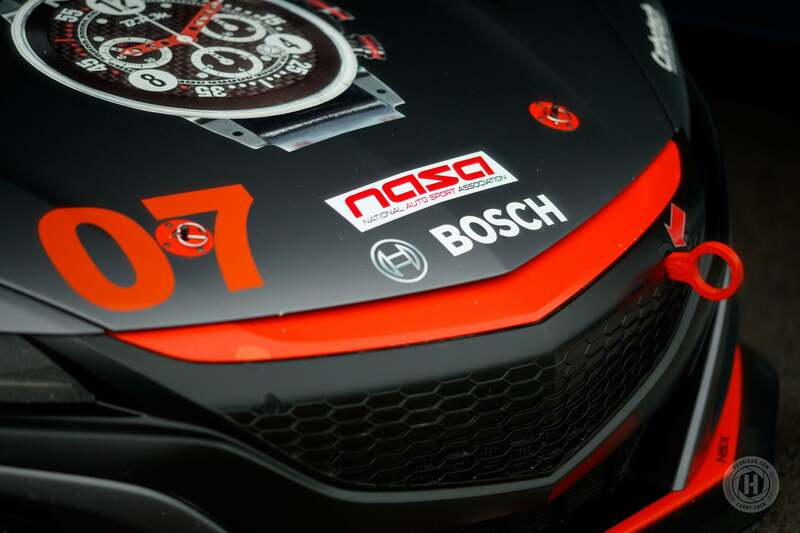 The NASA racing included time trial racing and wheel-to-wheel races like American Iron and Super Touring. 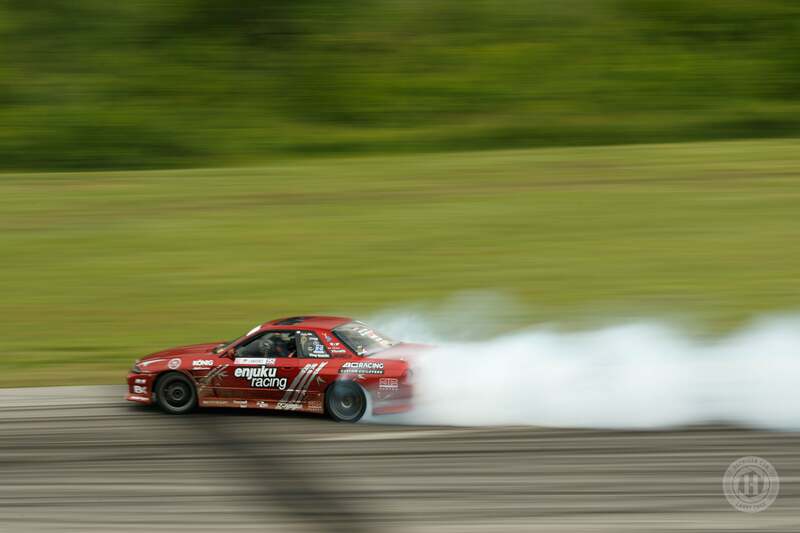 Then there was the drifting that was both a part official US Drift round and part fan ride alongs. 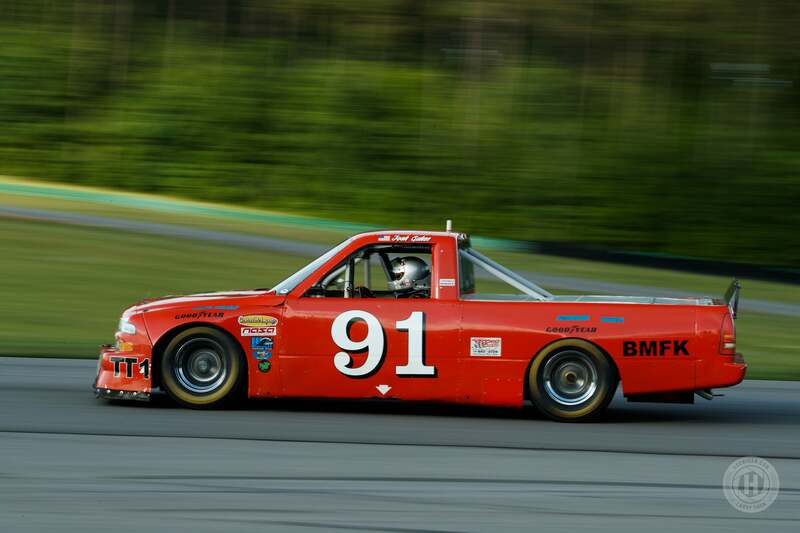 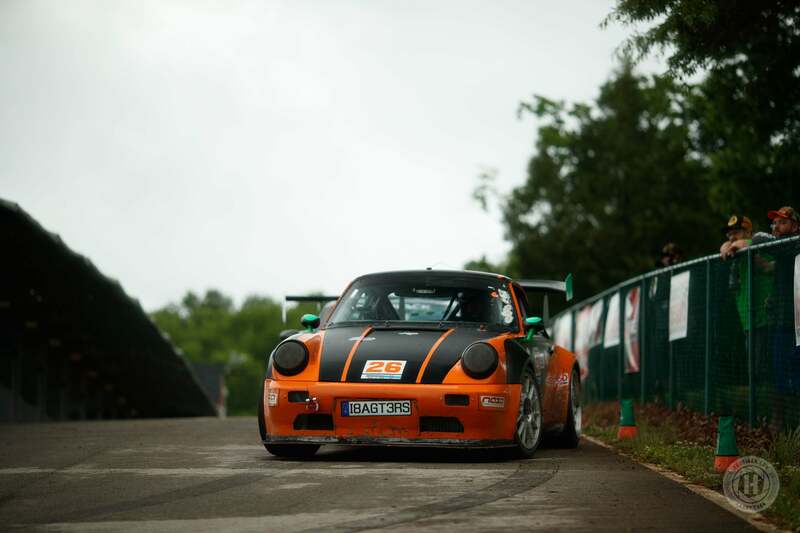 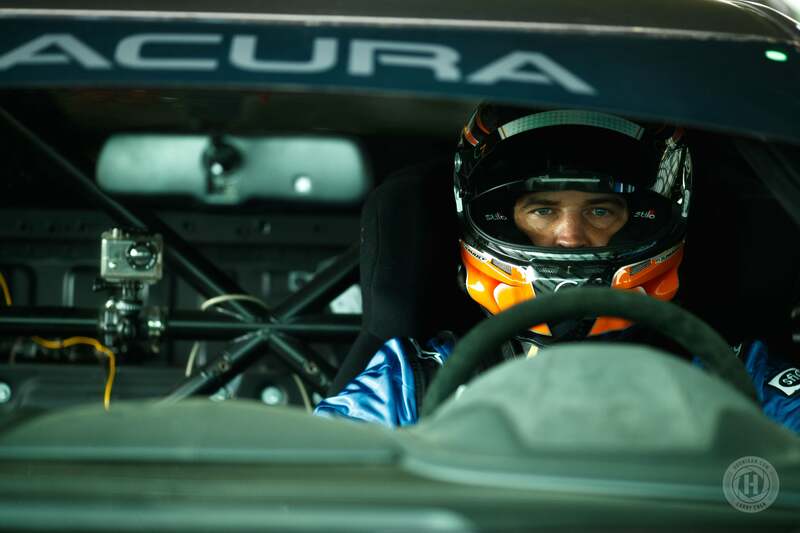 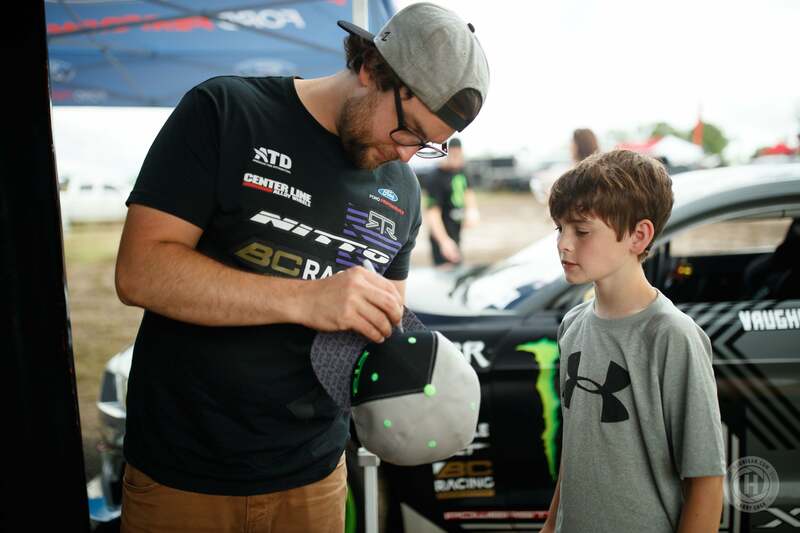 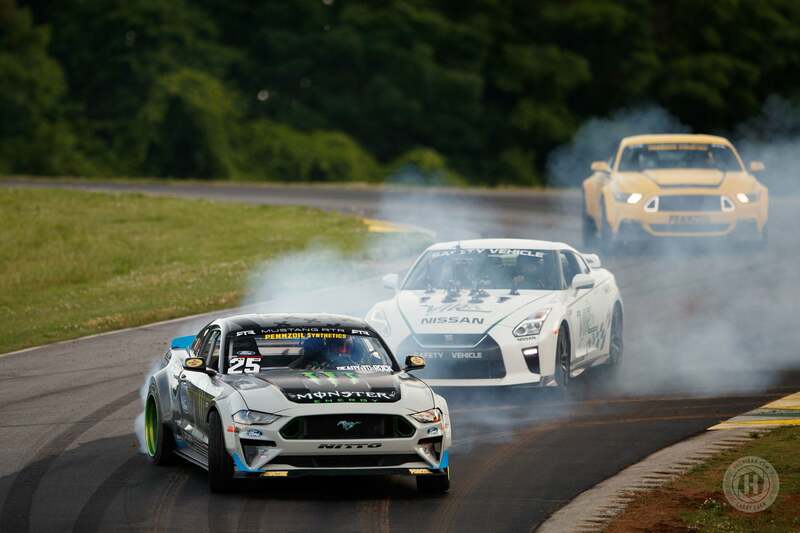 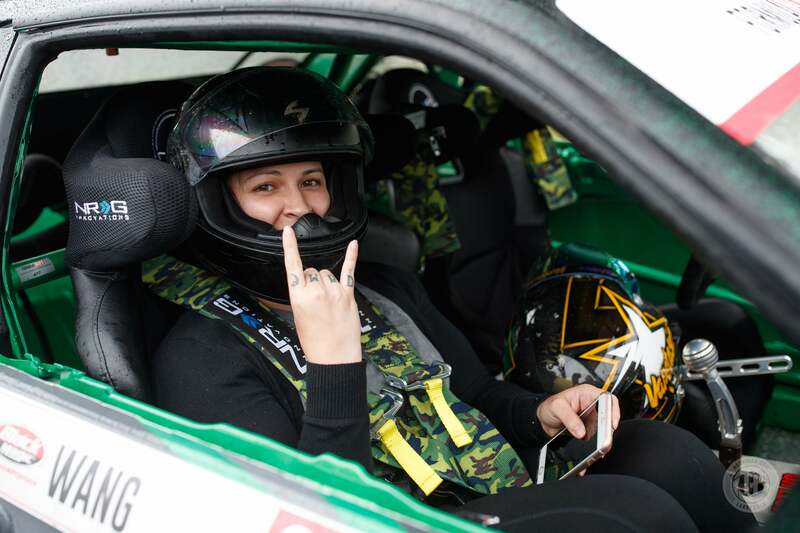 Fans could ride with heavy hitters like Geoff Stoneback, Vaughn Gittin, Jr, Chelsea Denofa, or Forrest Wang, but could also opt to ride in the passenger seat of the NASA race cars on the main course, too. 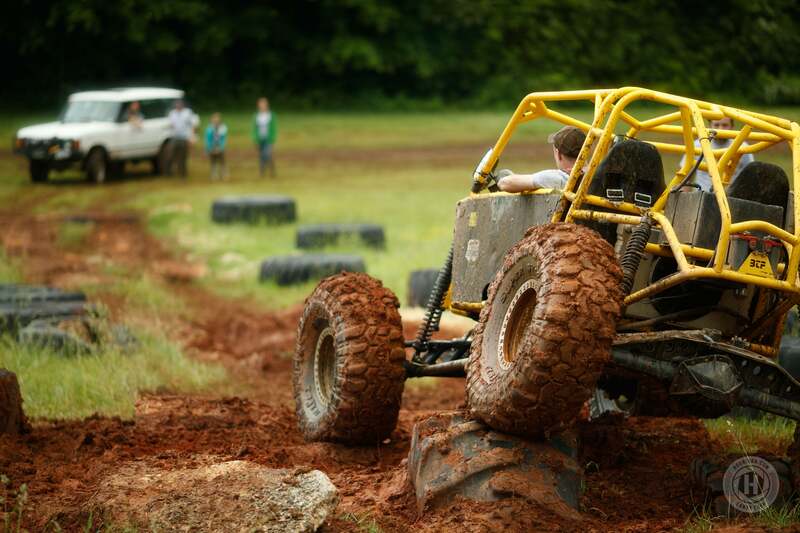 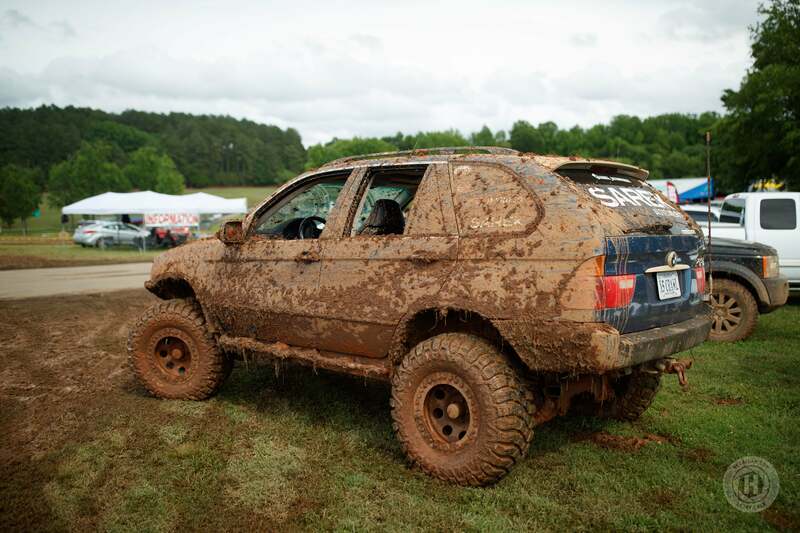 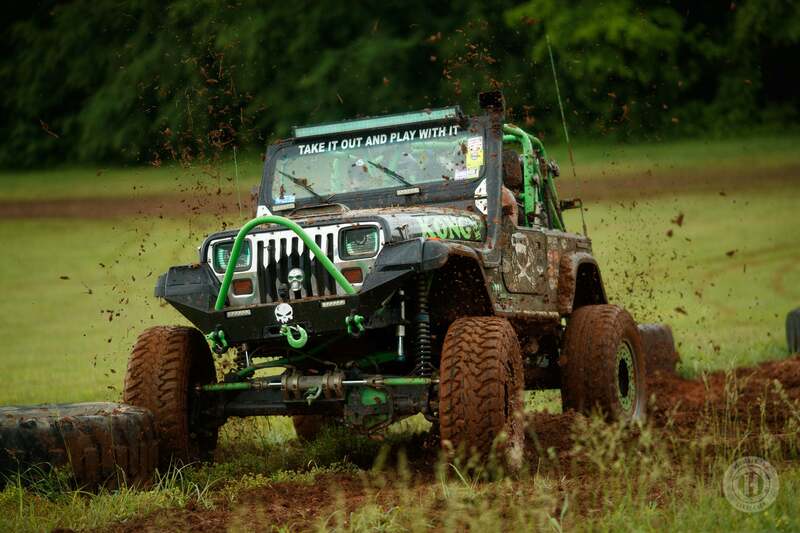 Or they could ride along in a rock crawler, rock basher, or rally car. 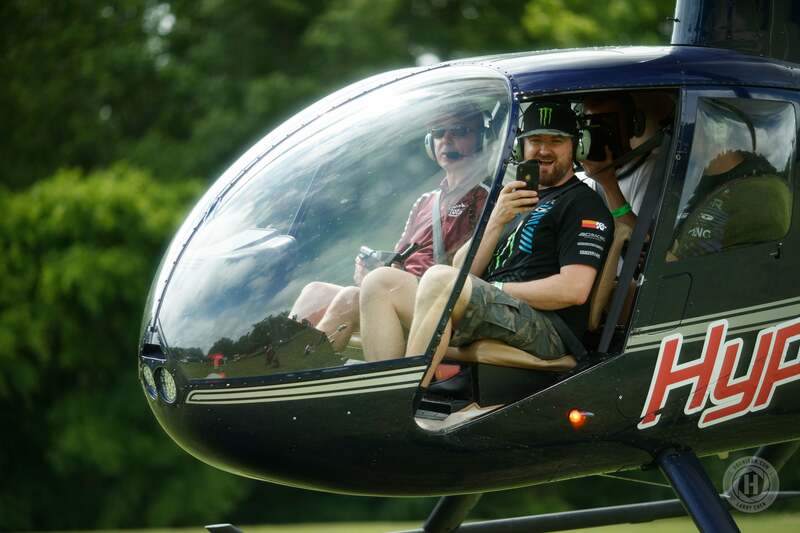 You could even take a helicopter tour of the track while the track cars race under you. 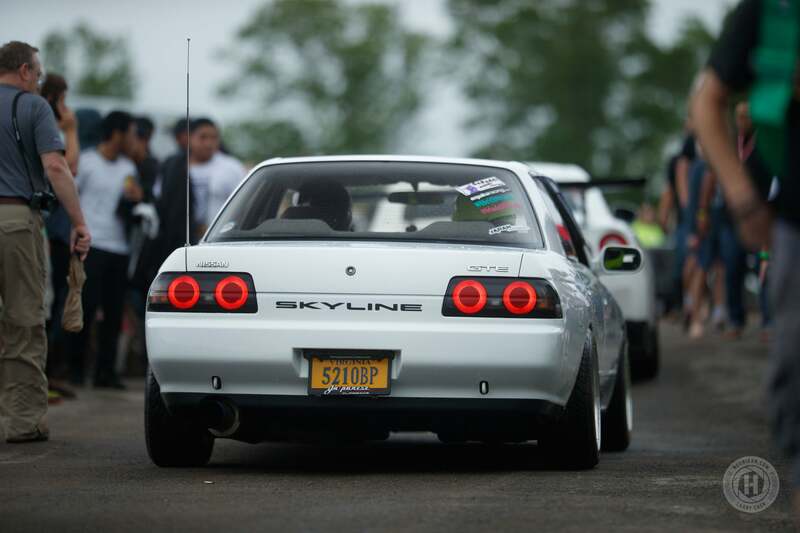 There was also a car show happening during the racing but if silent cars weren’t your thing, there was an exhaust contest for the best sounding car. 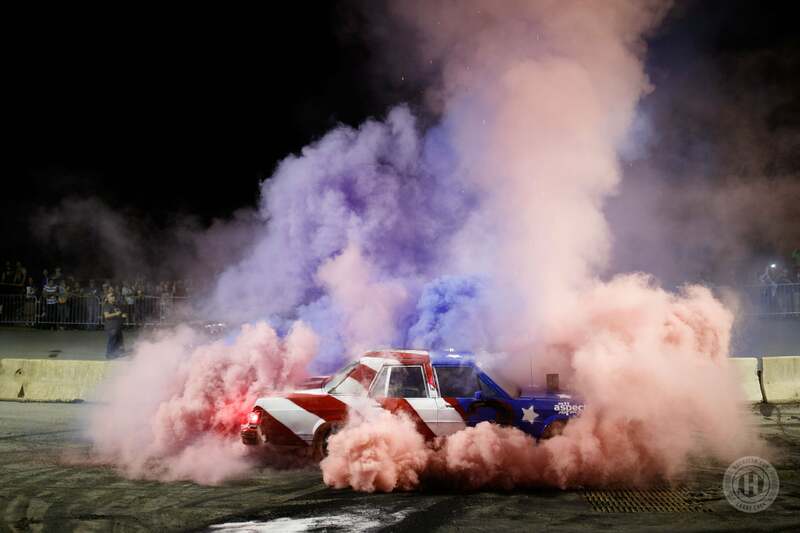 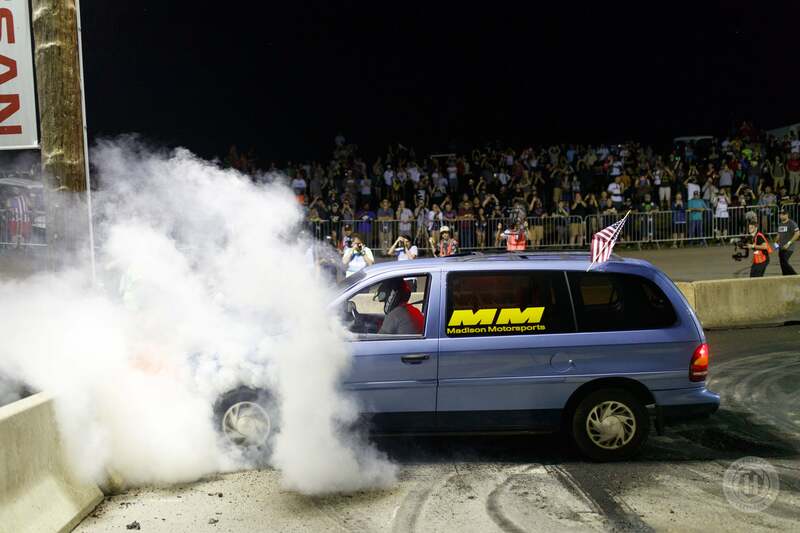 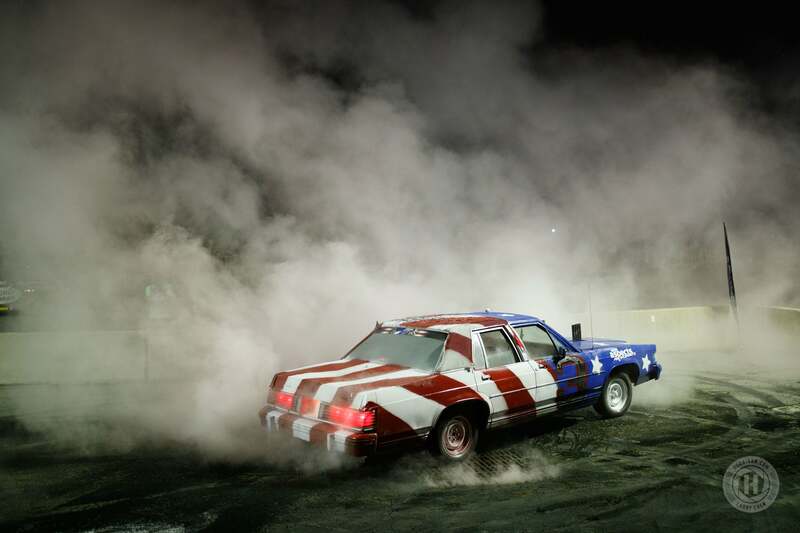 There was also a burnout contest at night if you wanted even more tire smoke and destruction. 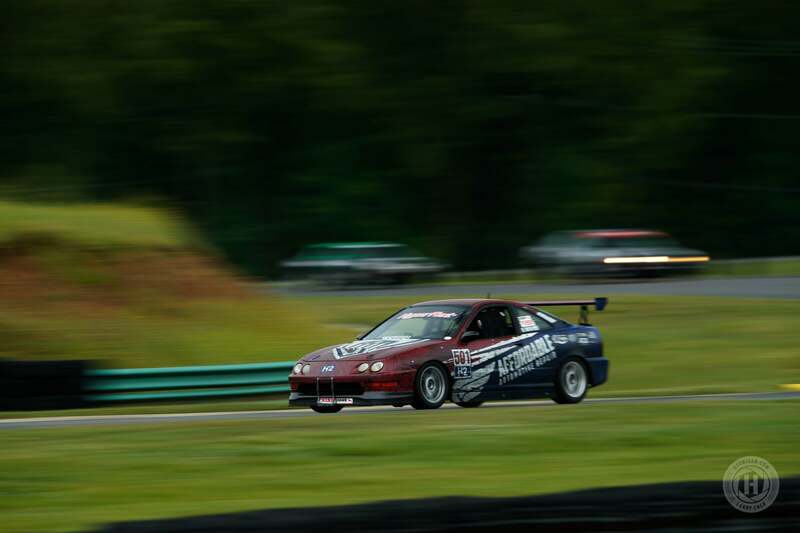 The variety of anything automotive happening in just one single event and at a single track is incredible. 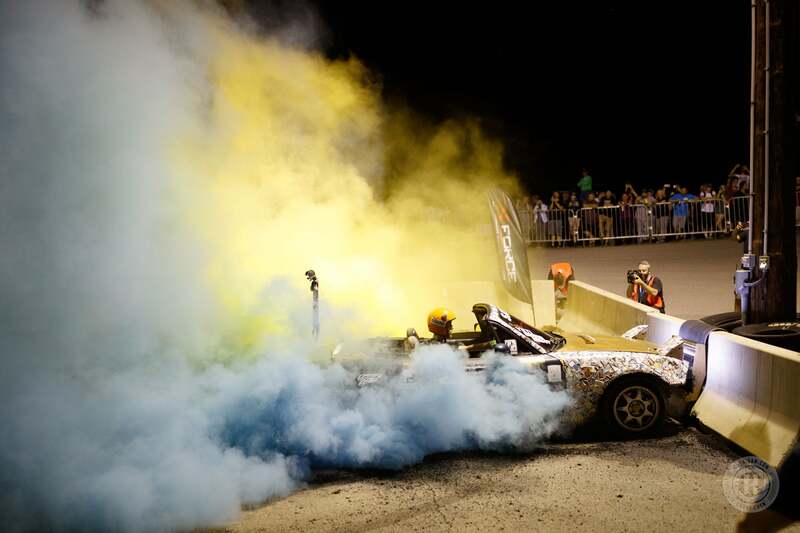 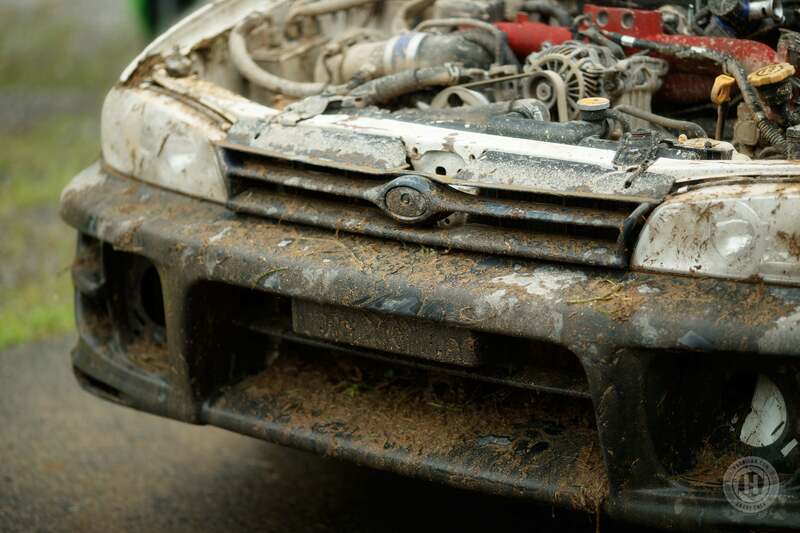 If you think watching a race isn’t enough, HyperFest has something for you. 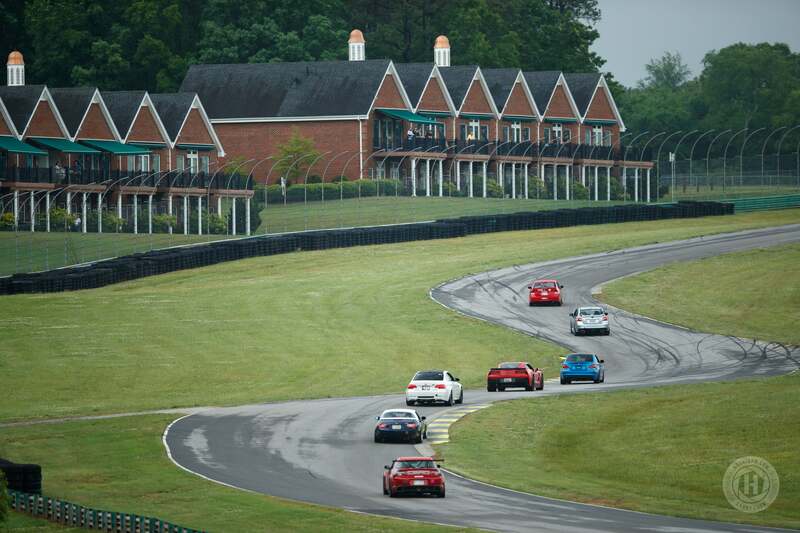 Instead of staying at a hotel far away from the track, many of the fans and racers camped out at VIR. 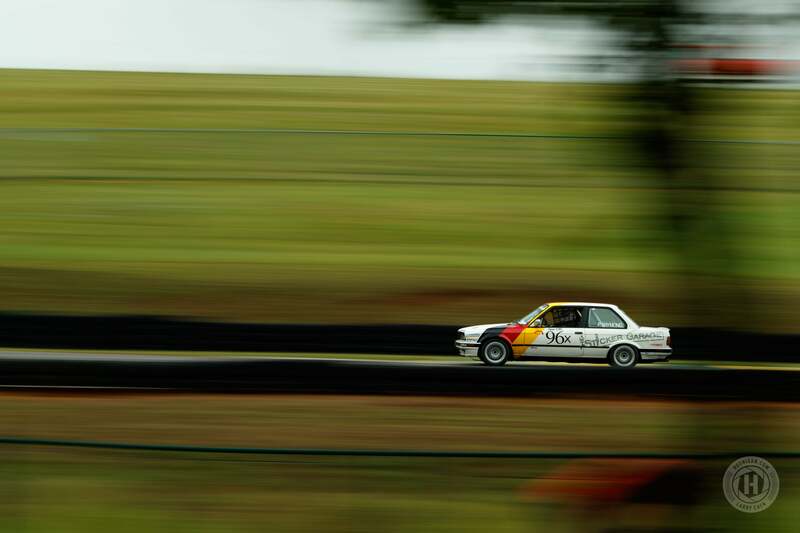 Some even stayed at the Villas that overlook the esses leading to Oak Tree Turn. 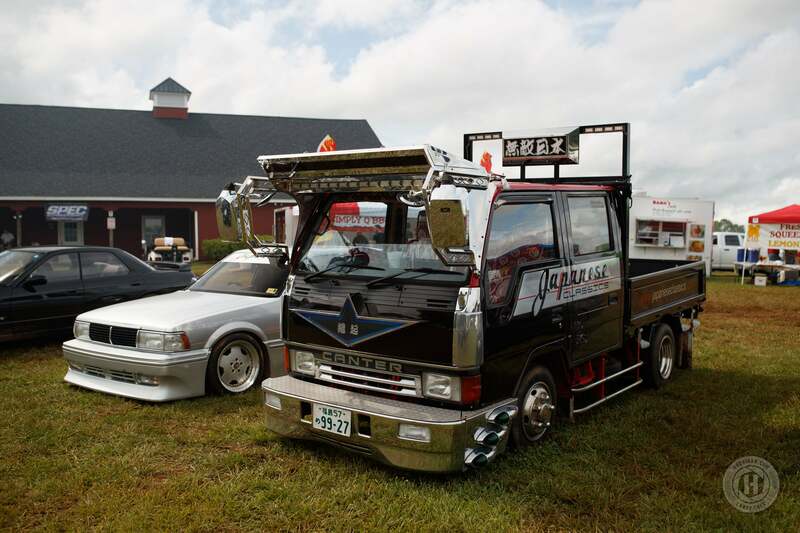 Many people live here permanently as well. 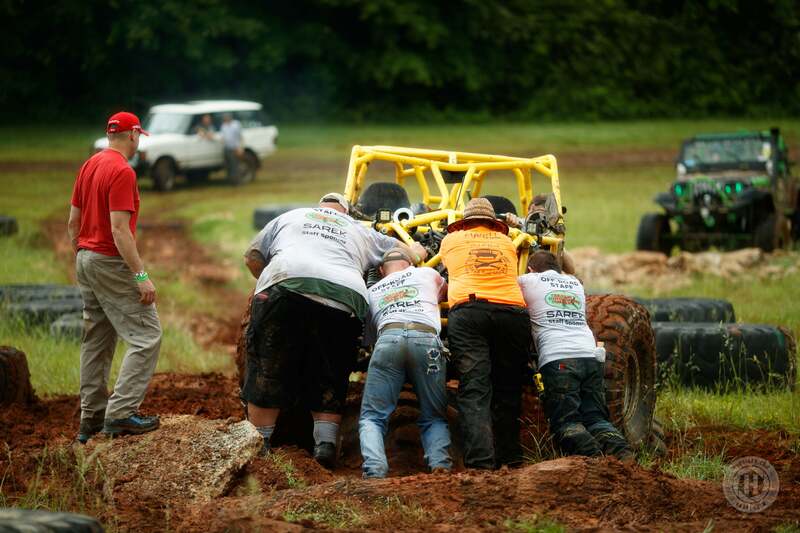 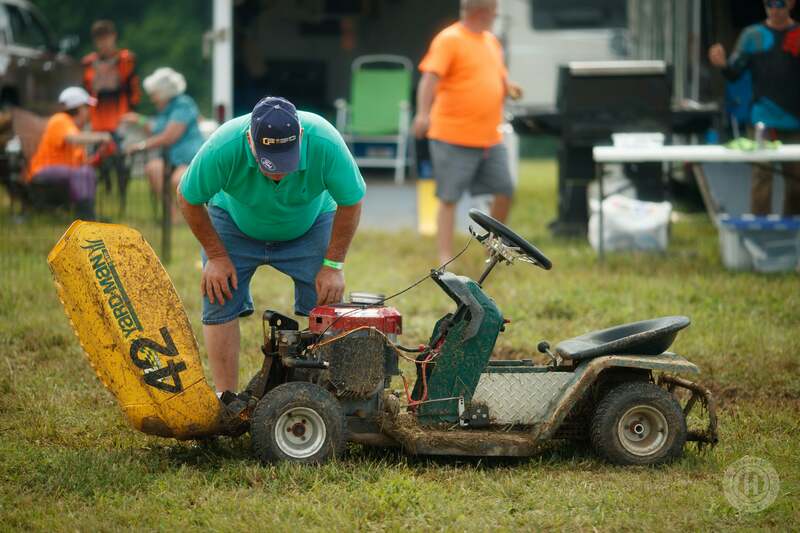 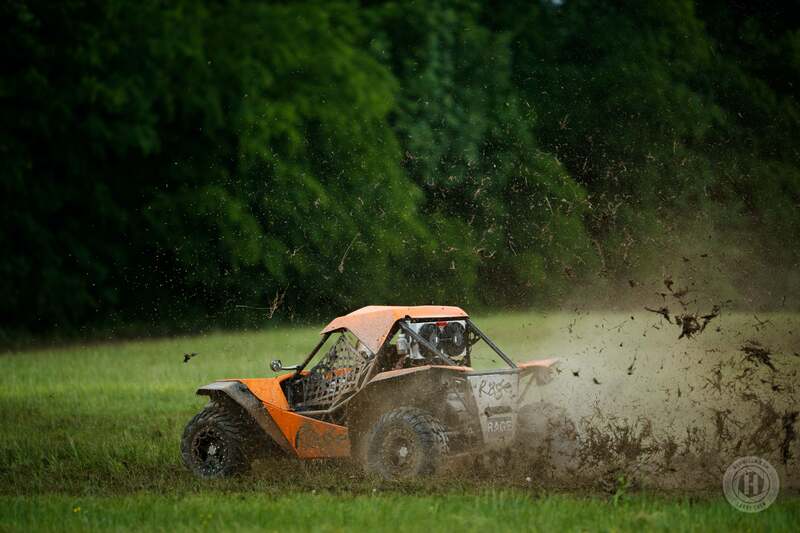 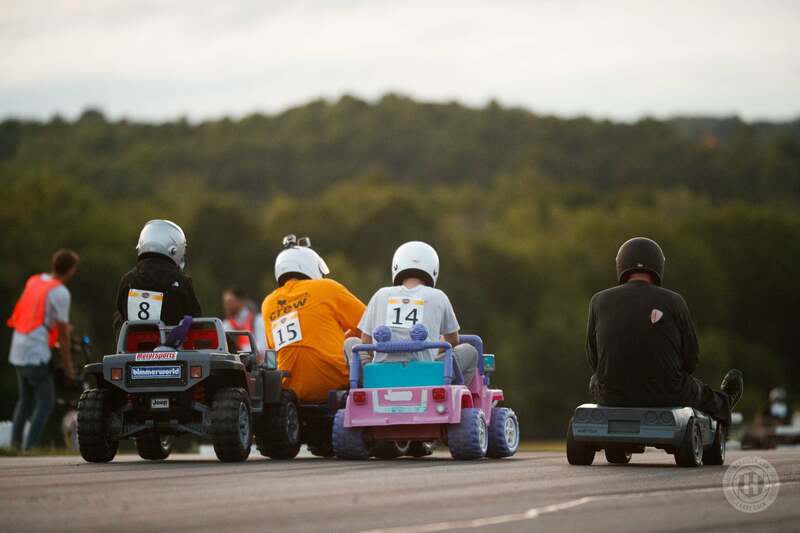 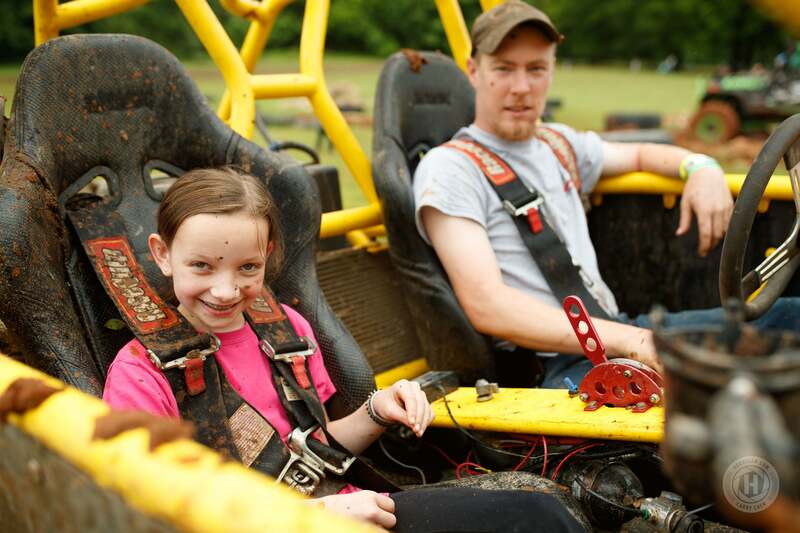 I was also able to shoot two brand new events for me: lawn mower and Barbie Jeep racing. 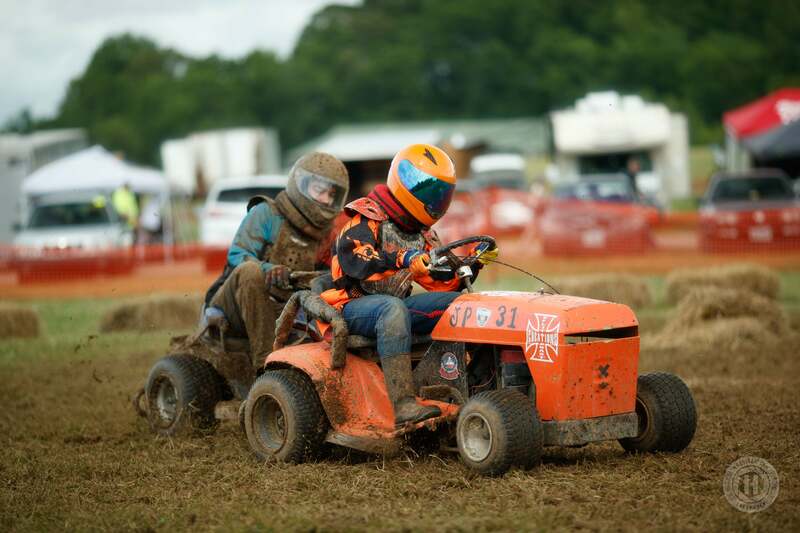 In one instance, while one of the five-horsepower mowers was racing a prototype was racing by going the other way on the main track. 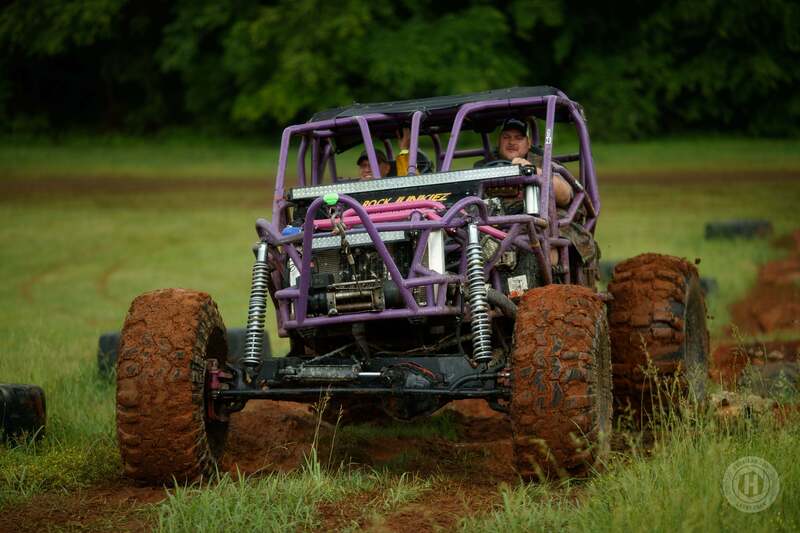 The Barbie Jeeps were just fun to watch as they only had gravity to power them and make their way to the finish. 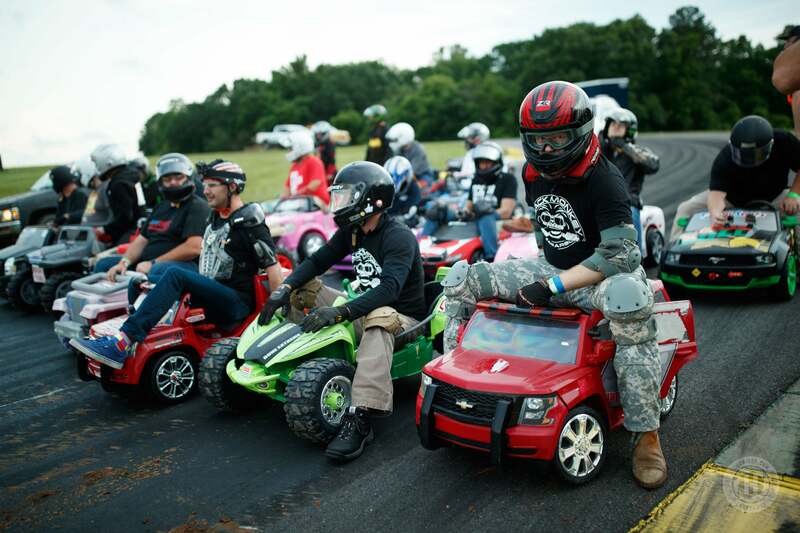 It was all at once chaos and control in the same instance with Barbie Jeeps five or more wide racing on the closed race course. 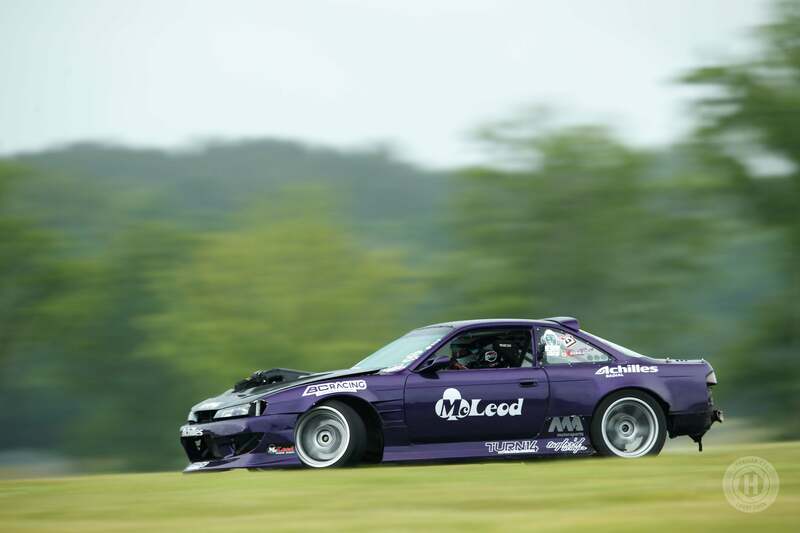 This year, there was a single round of US Drift, which is a Formula Drift Pro Am series that took place on the Patriot Course. 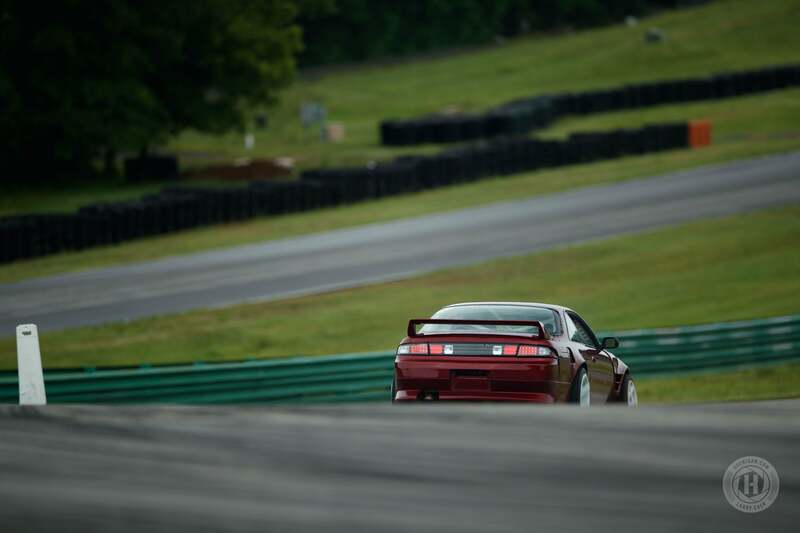 Patriot is a separate course in VIR and the main track loops around it. 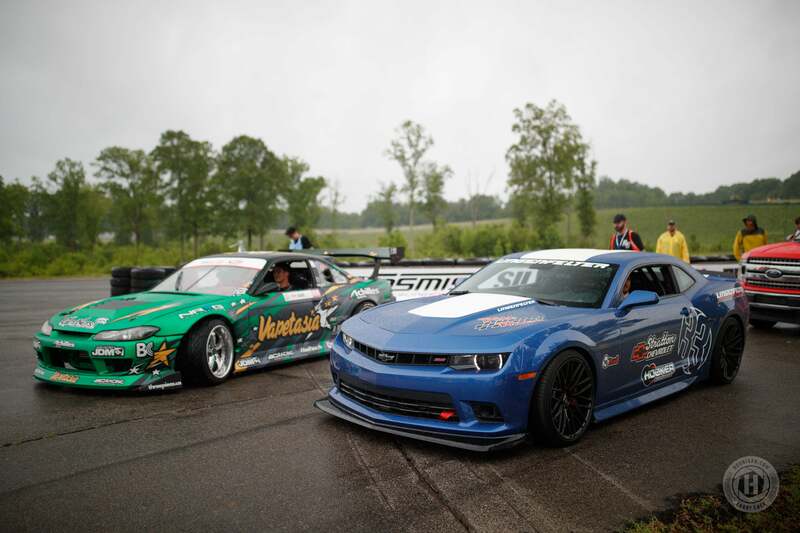 This meant that there was a lot on the line for a single event as the winner would not only get $10,000 but a Formula Drift Pro License, too. 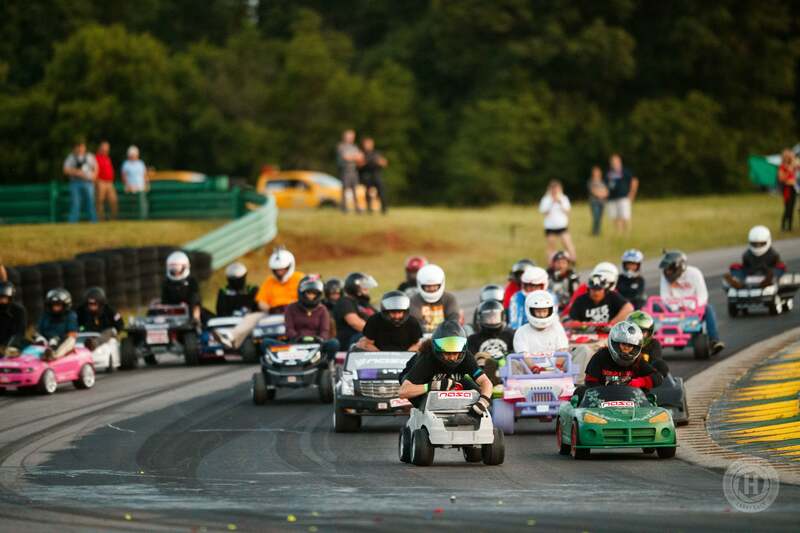 Drivers came from as far as the West Coast to earn their shot at the money and a golden ticket to enter Pro2. 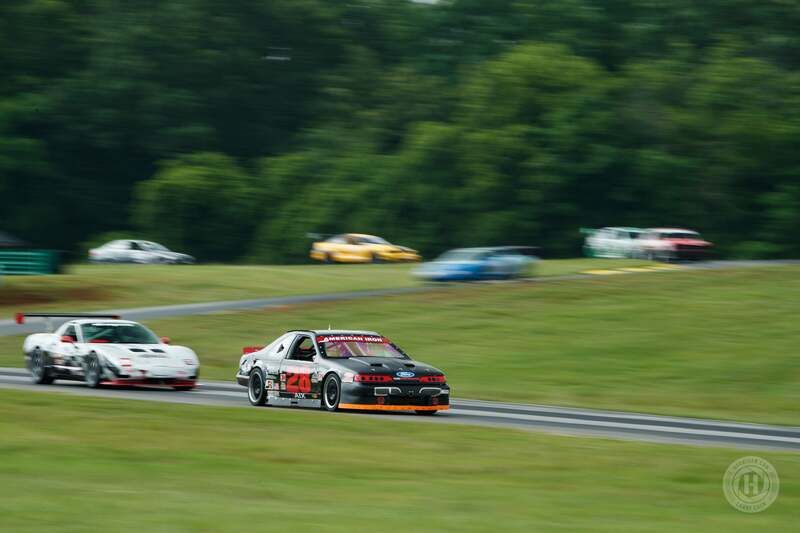 If you ever wondered where old FD cars go when they get retired, they end up drifting in Pro Am. 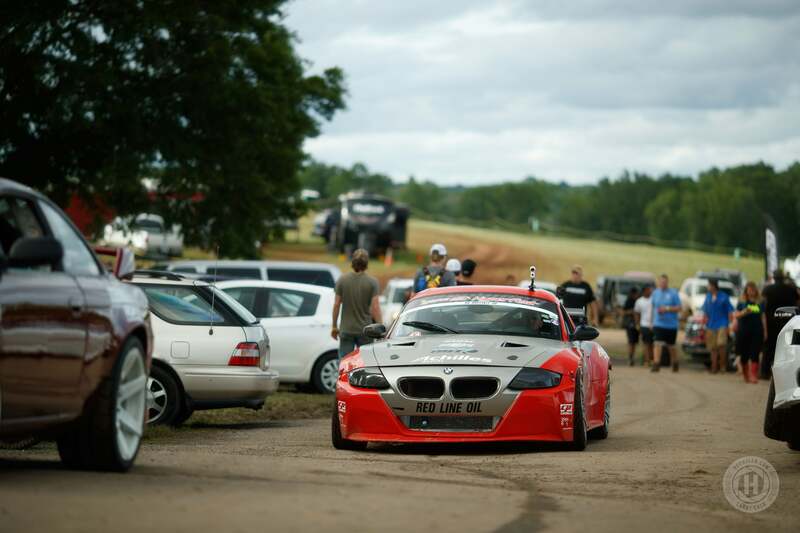 Michael Essa’s old Z4 was out at this event as well as Jeff Abbot’s old turbocharged Mazda Miata. 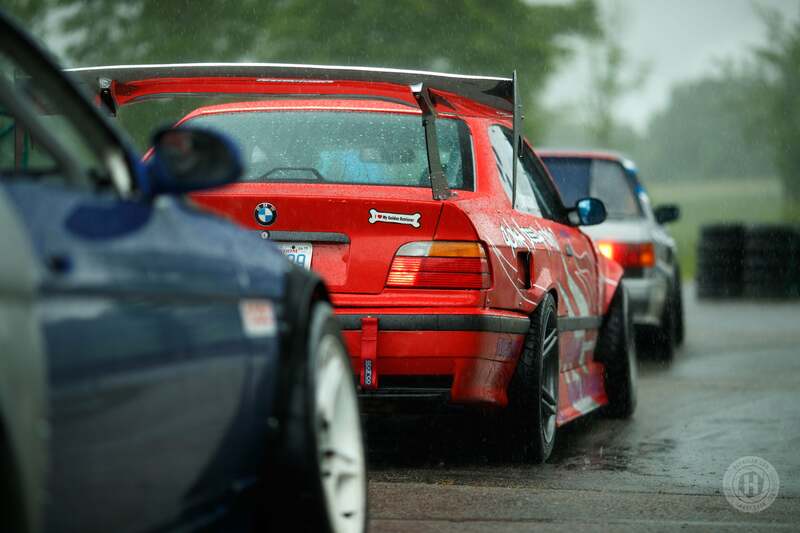 Even Alex Heilbrunn’s old M3 was being used by a 15 year old girl for this event. 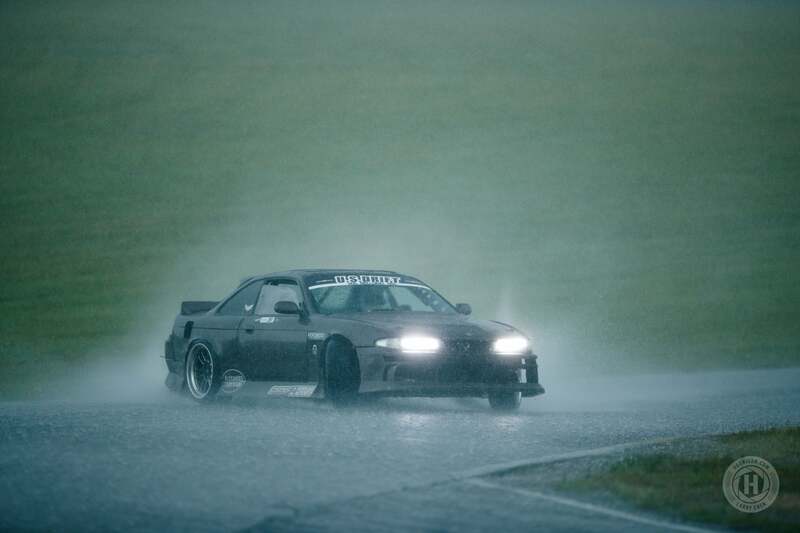 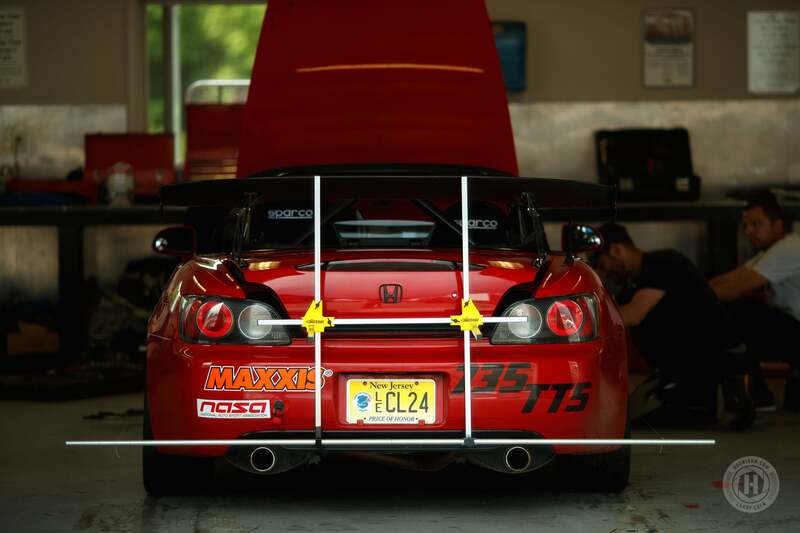 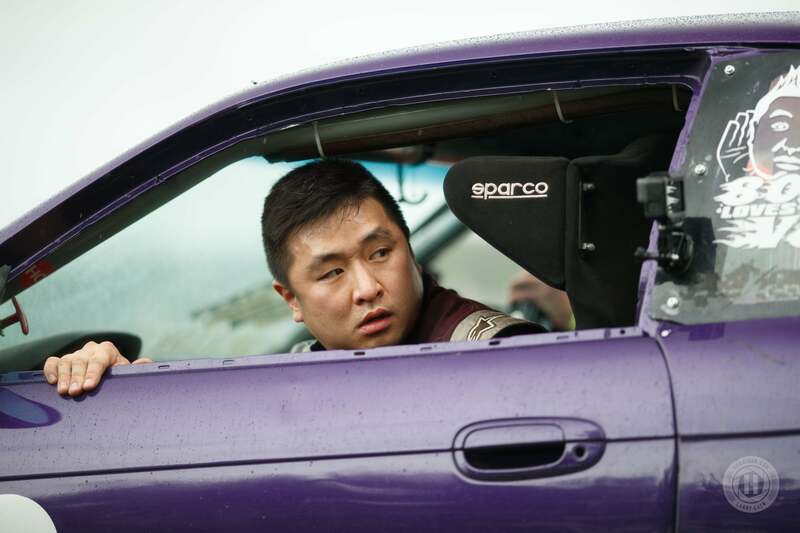 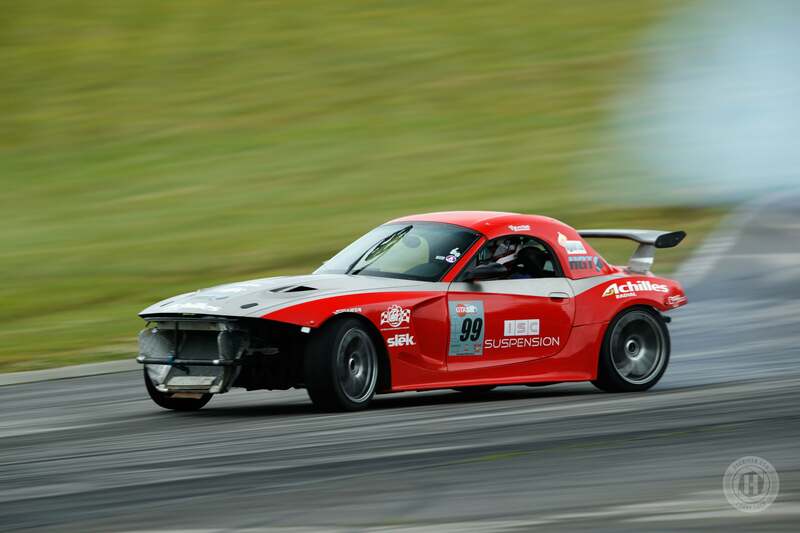 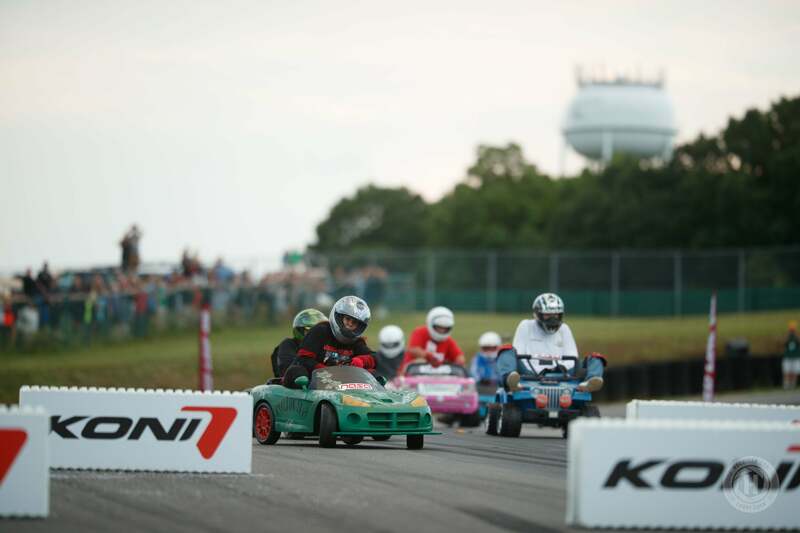 For many of the NASA racers and spectators, this was their first experience with drifting. 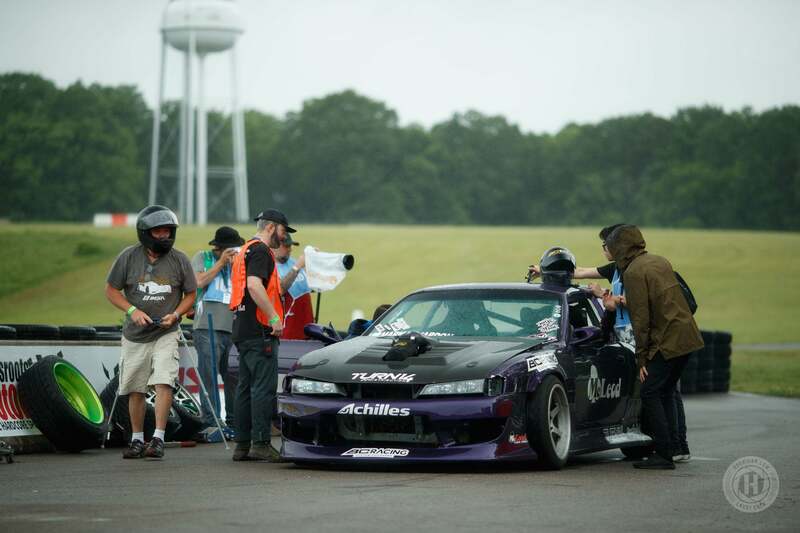 Not only did they get a chance to watch Pro Am drivers compete, but also got to peep Chelsea and Vaughn drifting the entire main course. 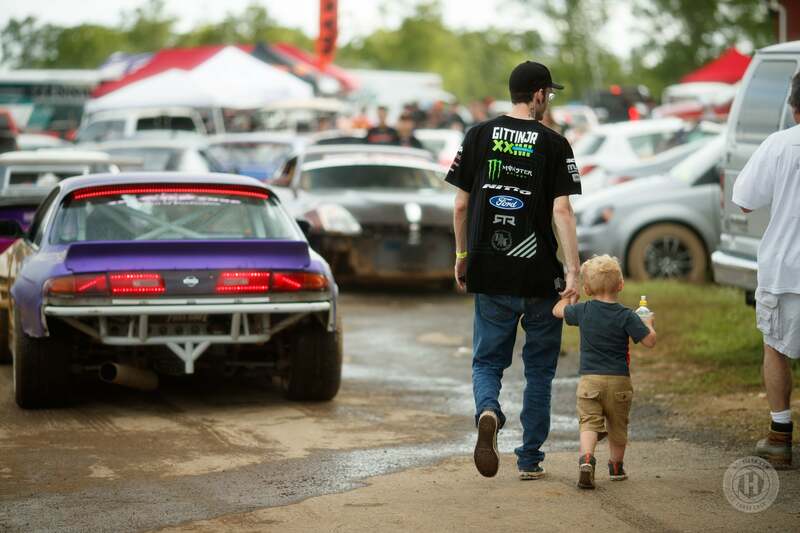 It’s easy to see how HyperFest is a place where people can expand their automotive horizons beyond road racing and drifting. 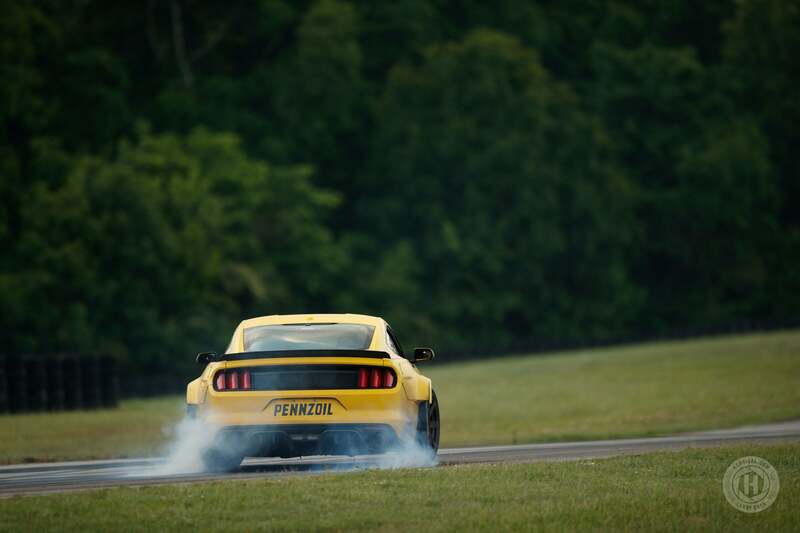 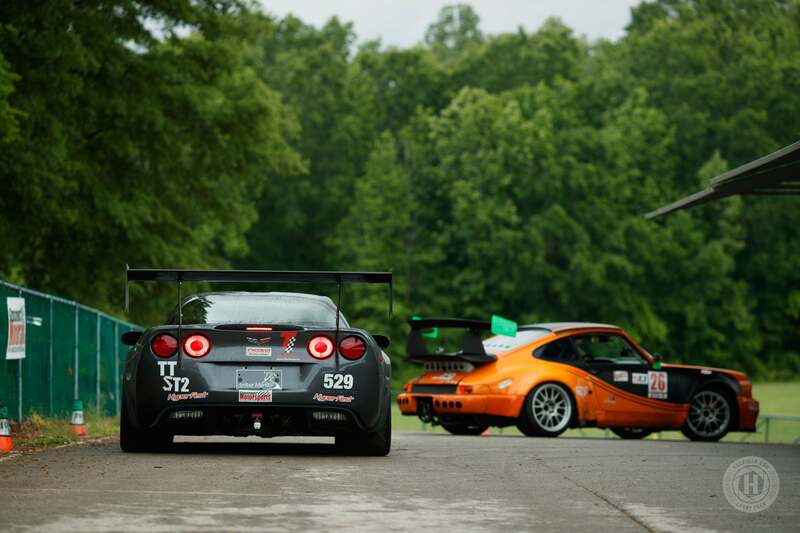 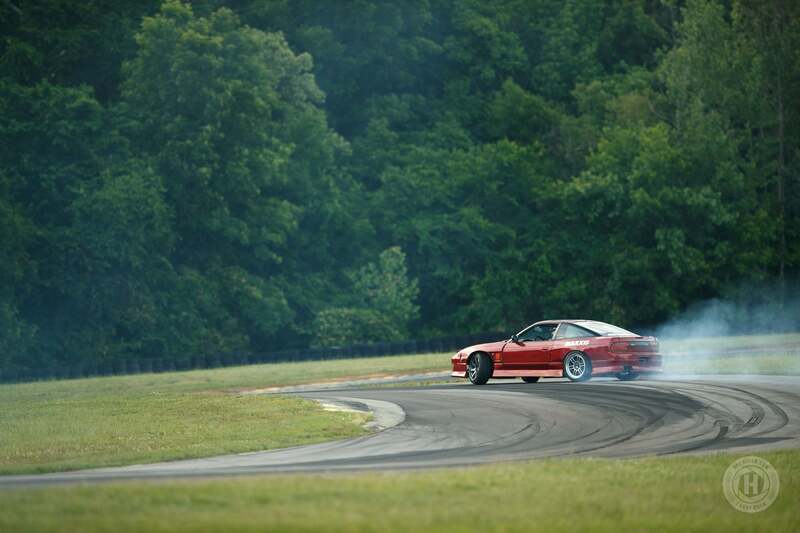 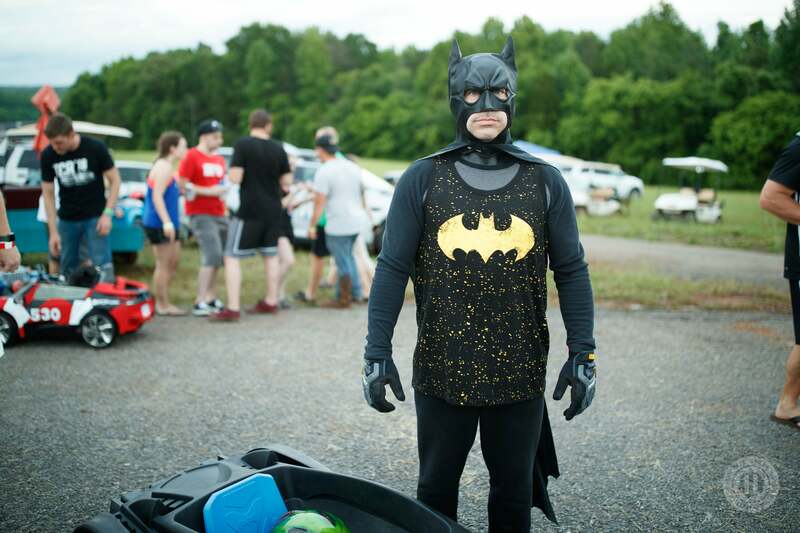 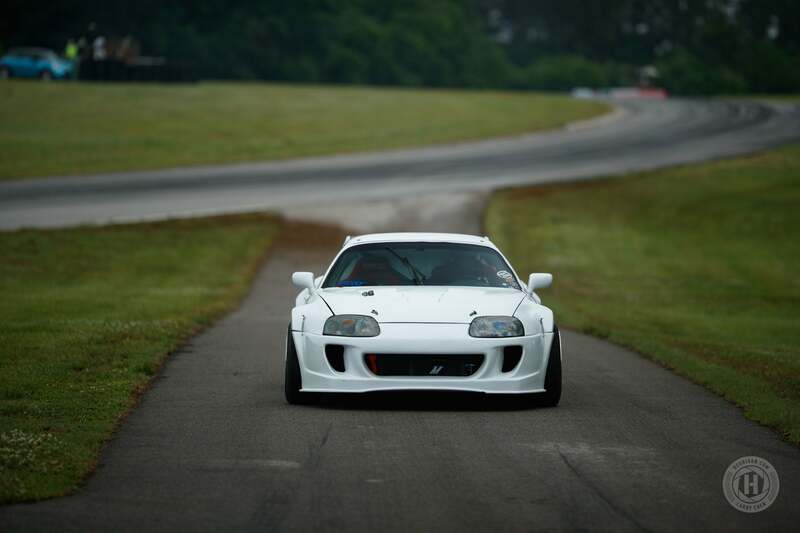 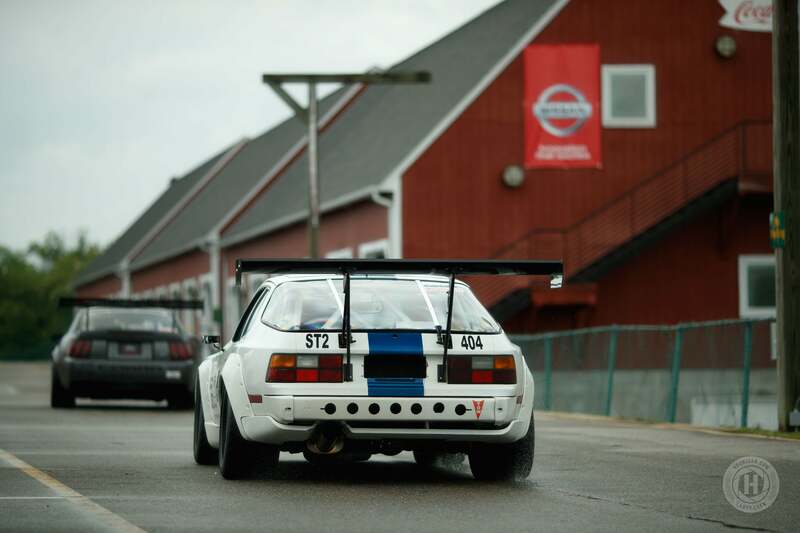 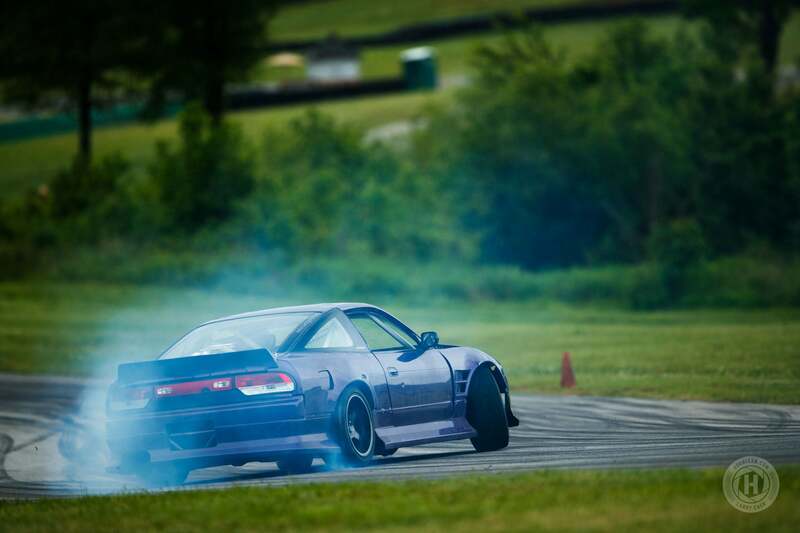 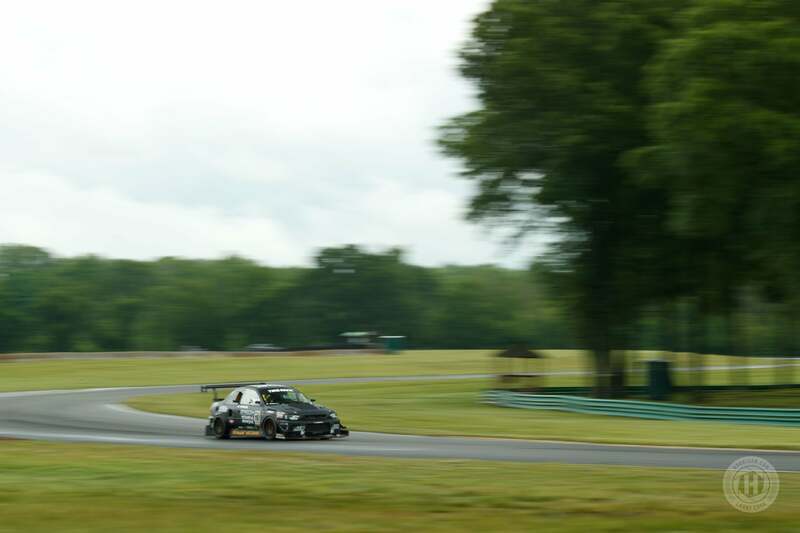 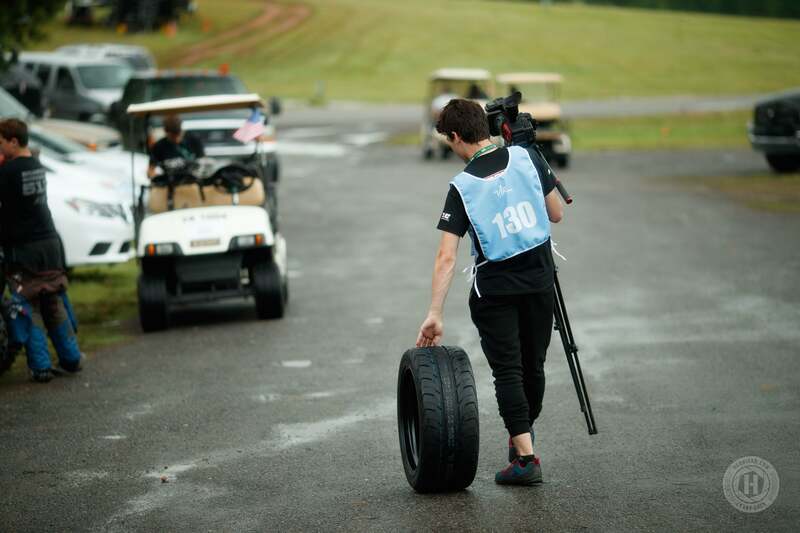 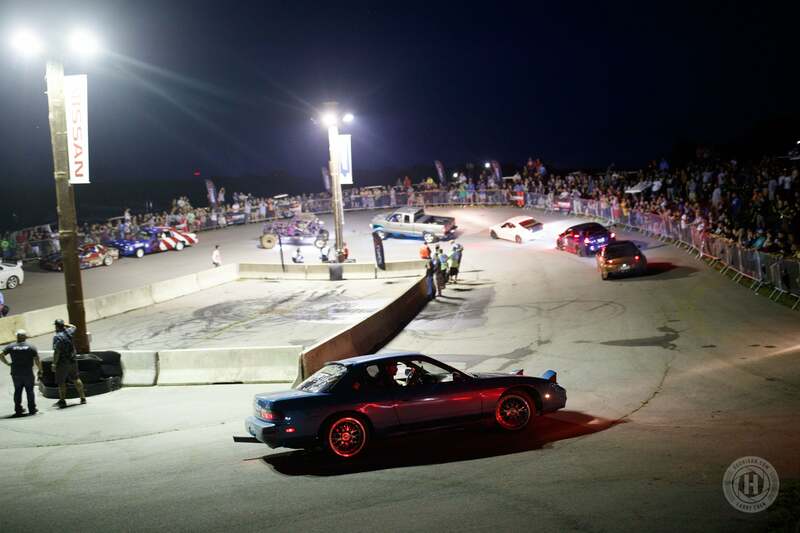 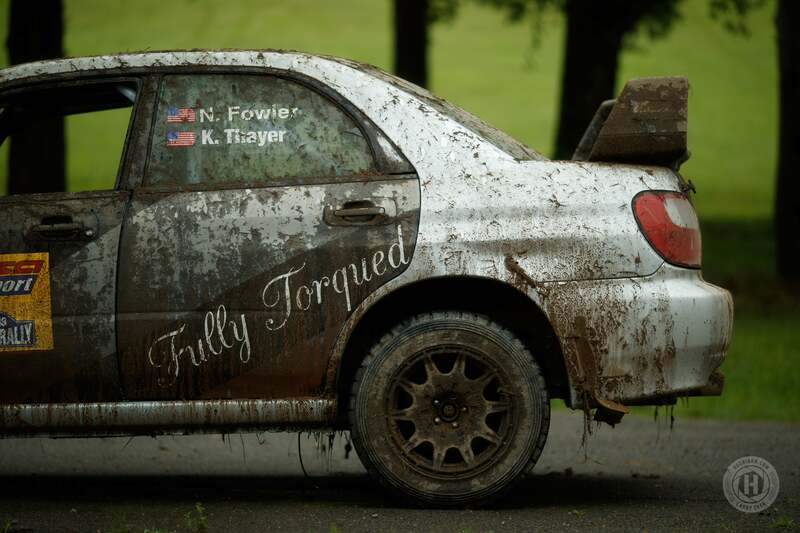 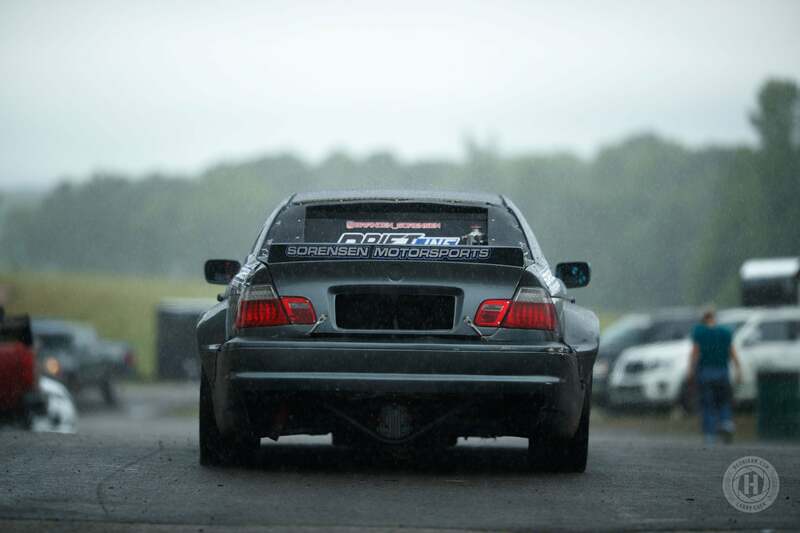 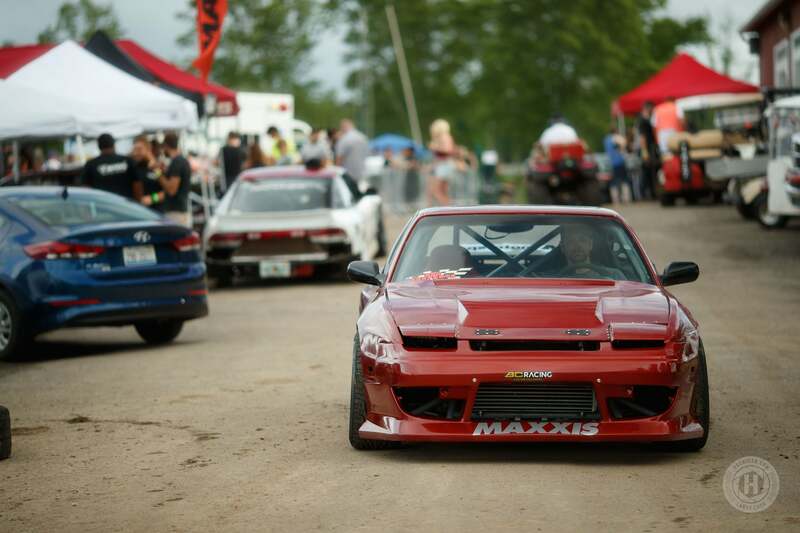 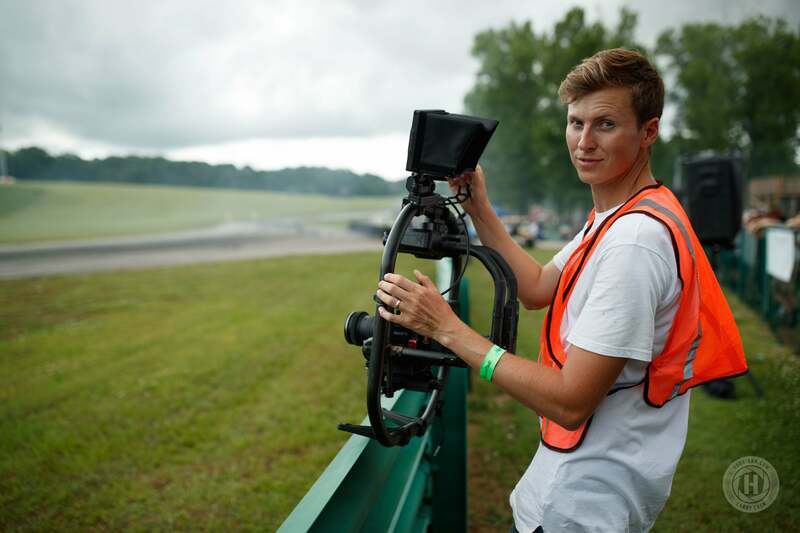 HyperFest will be back at VIR next year and you should go out to experience it for yourself. 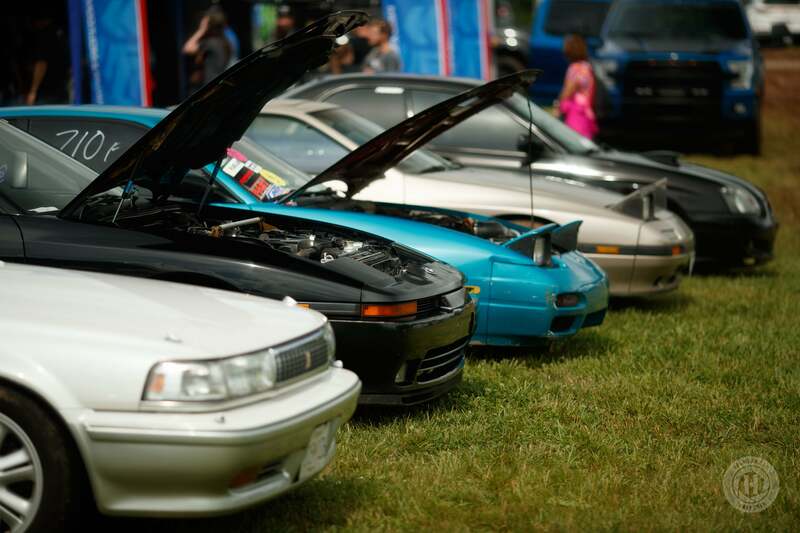 It will be overwhelming at first, but you’ll experience an automotive event unlike anything else you’ve ever attended. 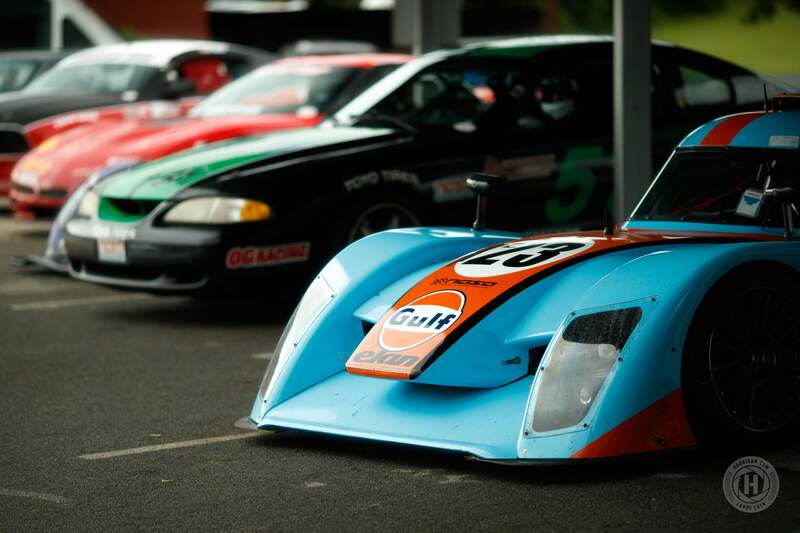 Your inner petrol head will thank you.